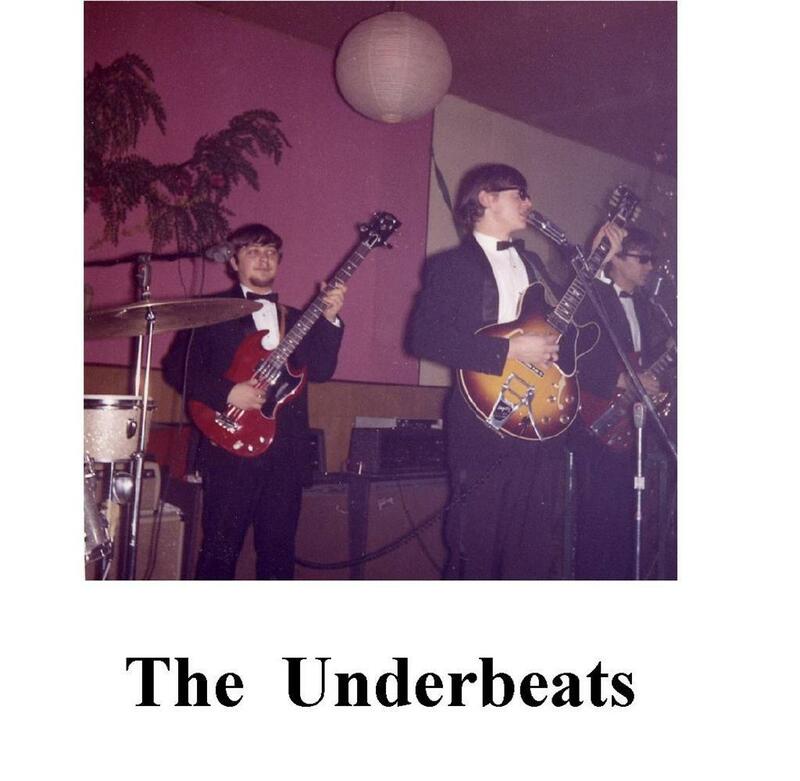 The top local dance band with vocal harmonies like no other! 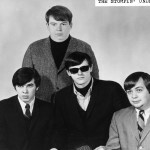 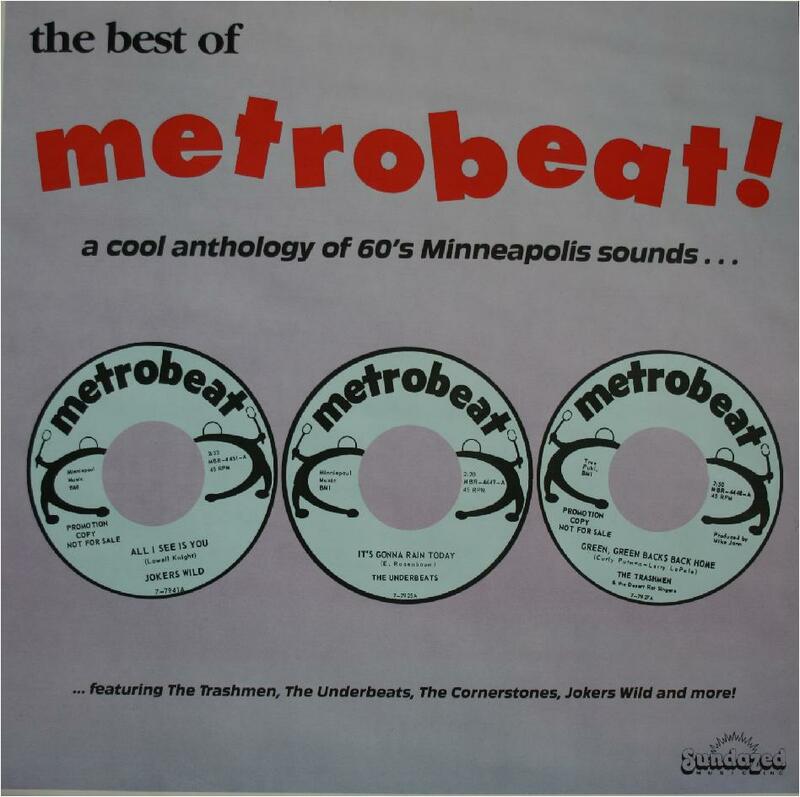 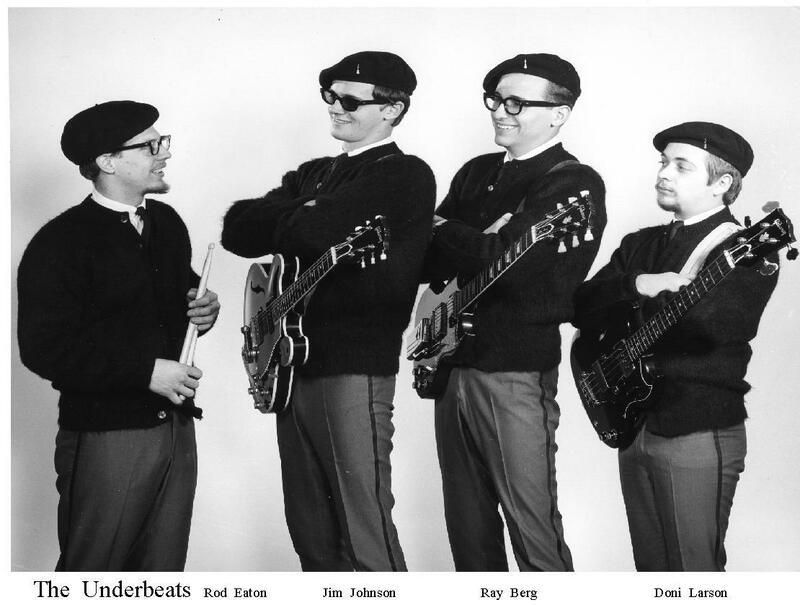 One of the most successful 1960s Minnesota groups. 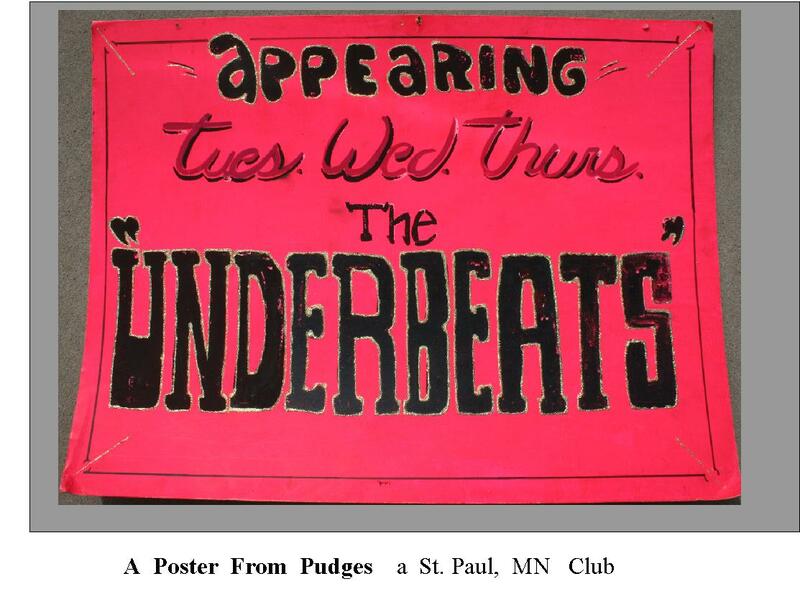 1962: The band gets together with menbers from North Minneapolis and Brooklyn Center. 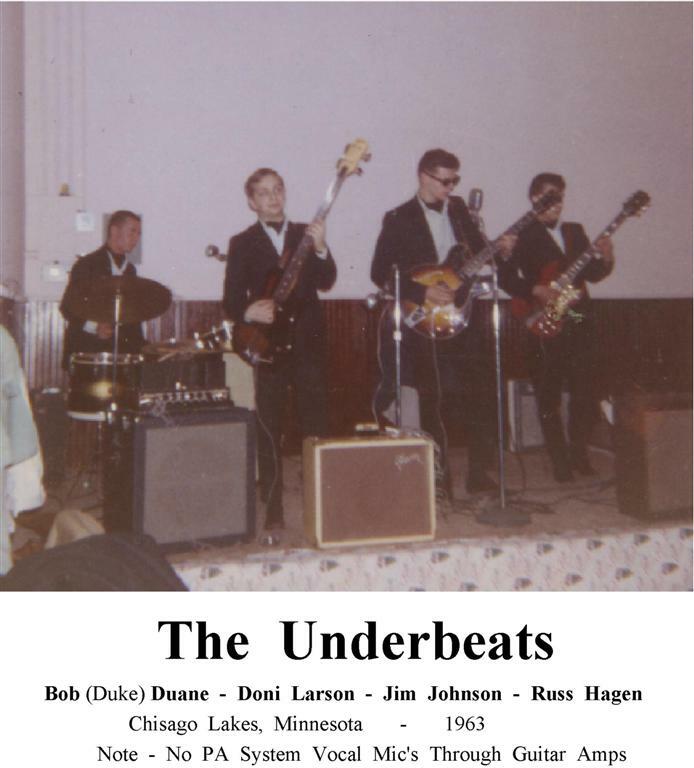 The lineup is: Jim Johnson on guitar, Russ Hagen on guitar and lead vocals, Doni Larson on bass guitar and Bob “Duke” Duane on drums. 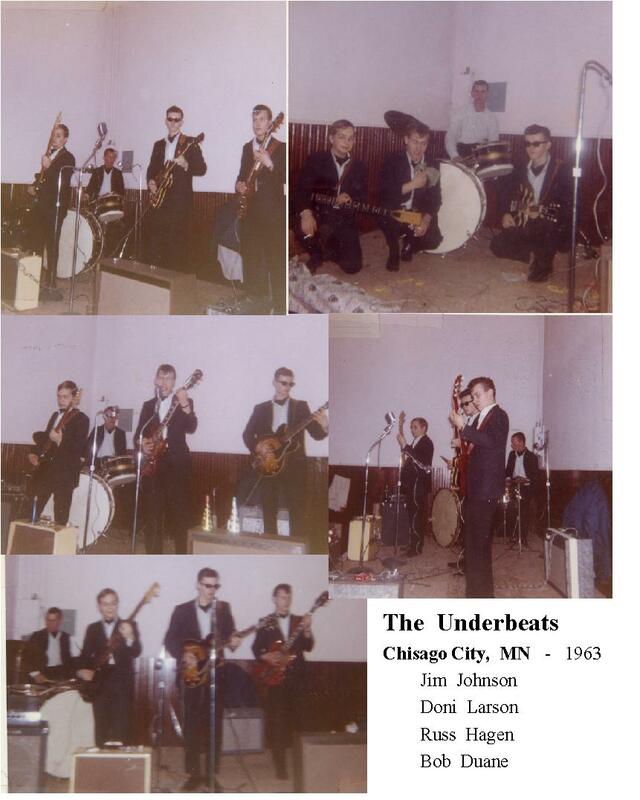 The band practices in Doni Larson’s basement in Brooklyn Center and they learn to play Chuck Berry songs and also more obscure Blues and R & B songs. 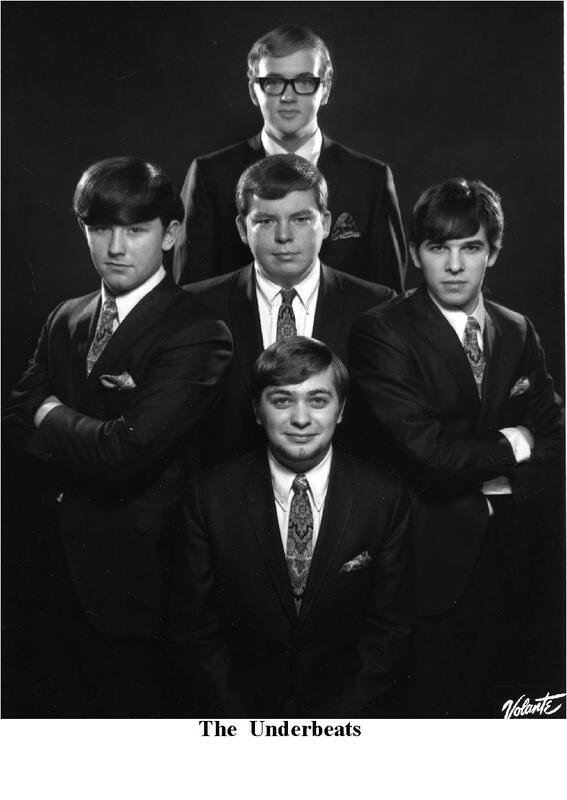 1963: Russ Hagen leaves the band to enter the military service and Ray Berg joins on guitar, with Jim taking over the lead vocals. 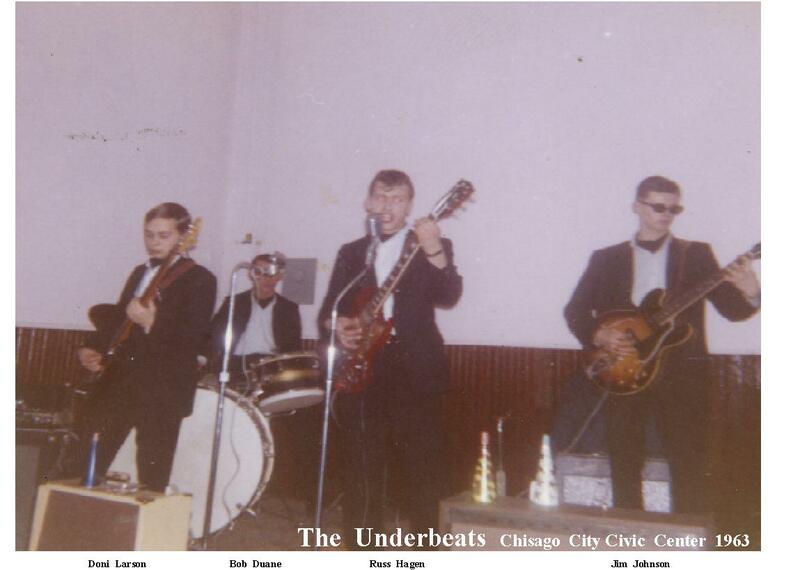 The band plays their first job at Chisago City Civic Center, with Russ who is home on leave. 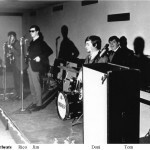 Bob also leaves the band for military service after the first job and Rod Eaton becomes the new drummer. 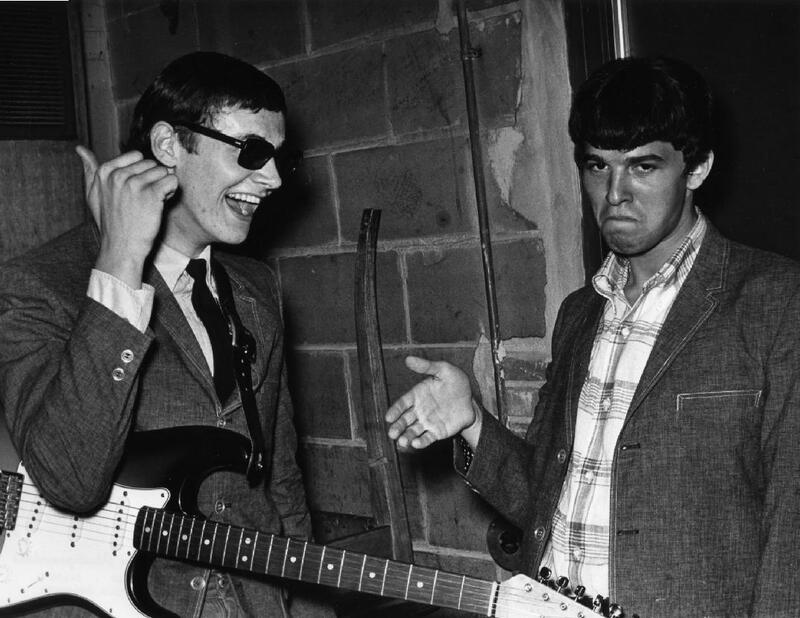 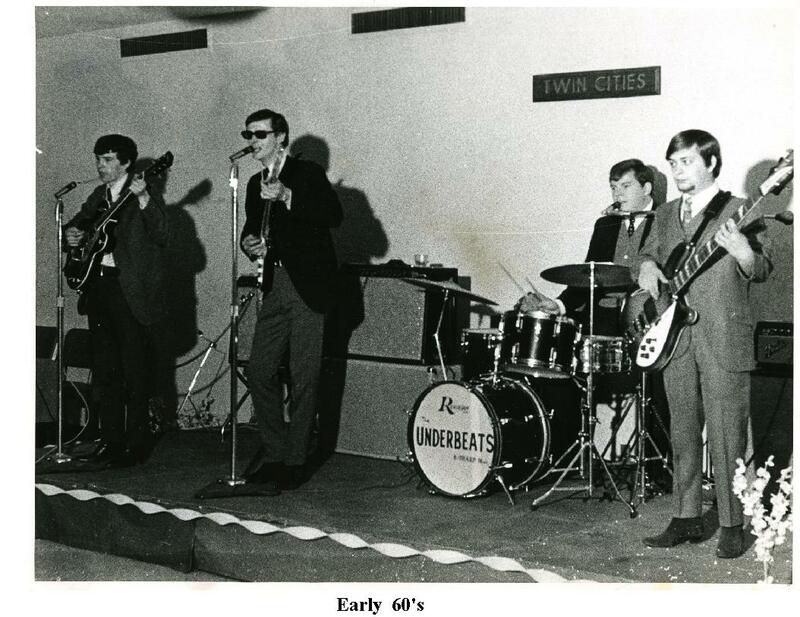 This version of the band plays their first job at Bill’s Roller Rink in Anoka. 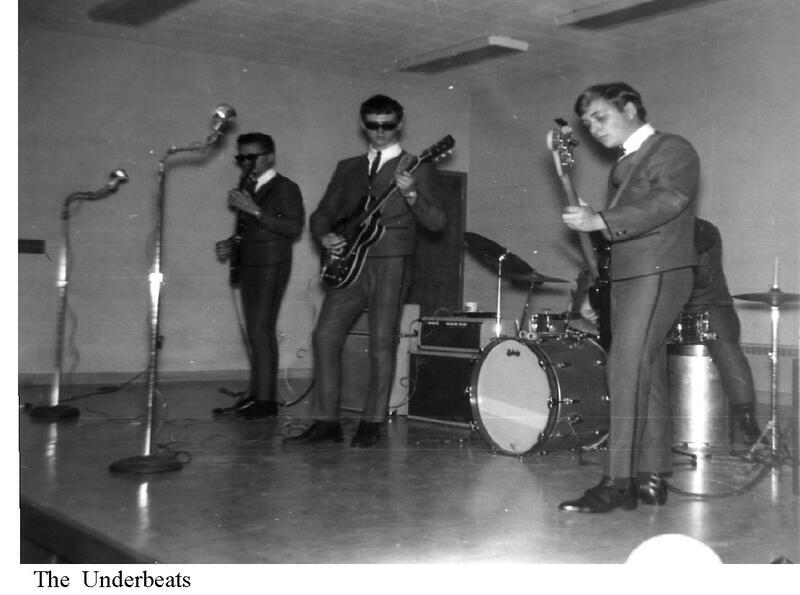 The band starts playing the local teen clubs, ballrooms and roller rinks (including the Bloomington Rink) and quickly build a strong fan base. 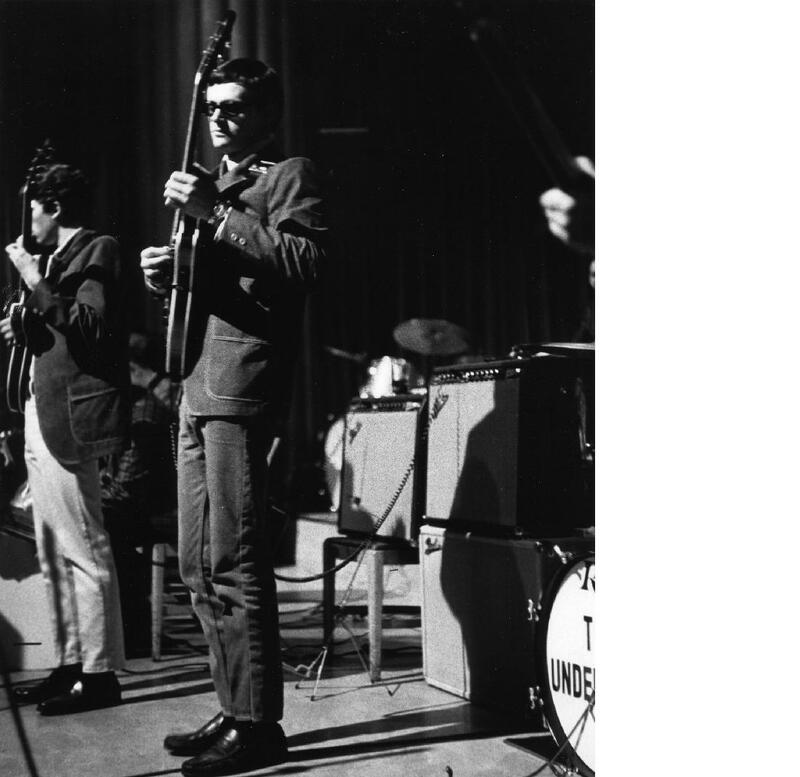 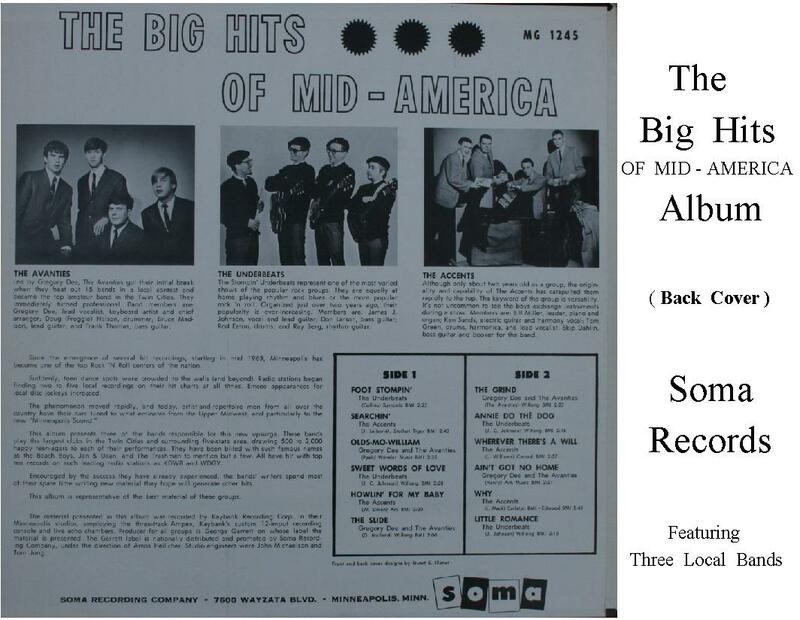 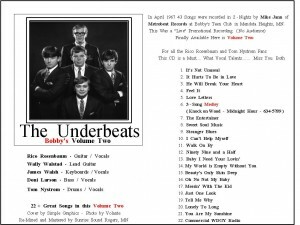 1964: The band meets George Garrett, who records numerous 45’s with the band for his labels, Garrett, Bangar and Twin Town. 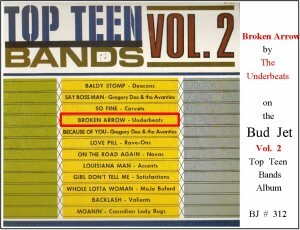 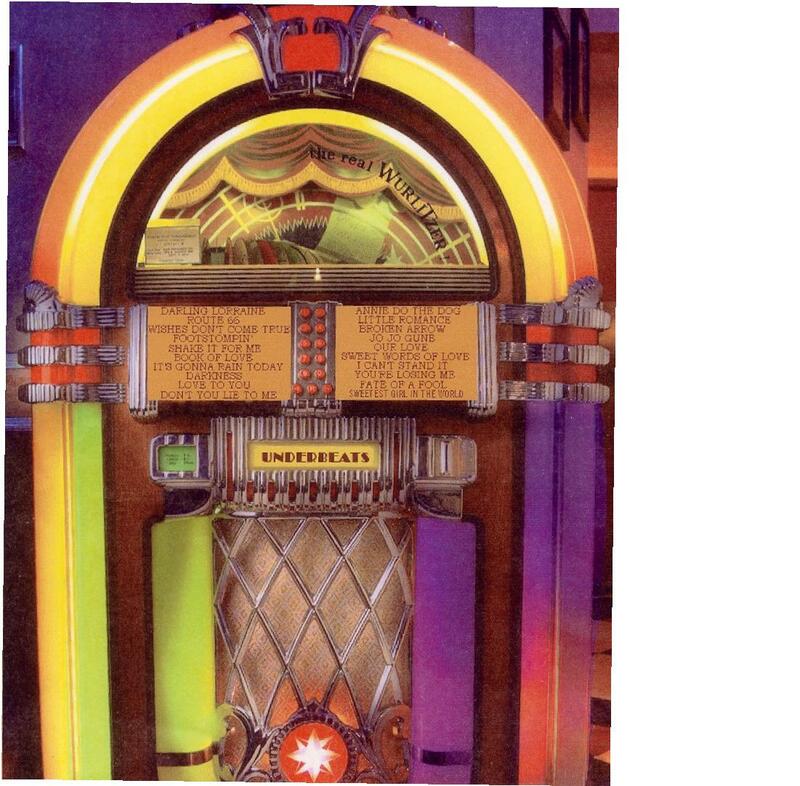 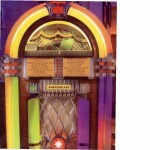 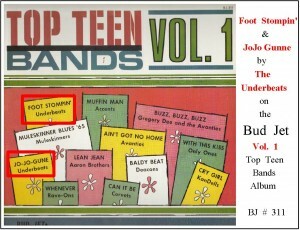 The bands first 45, “Foot Stompin’” becomes a big hit on the local radio stations. 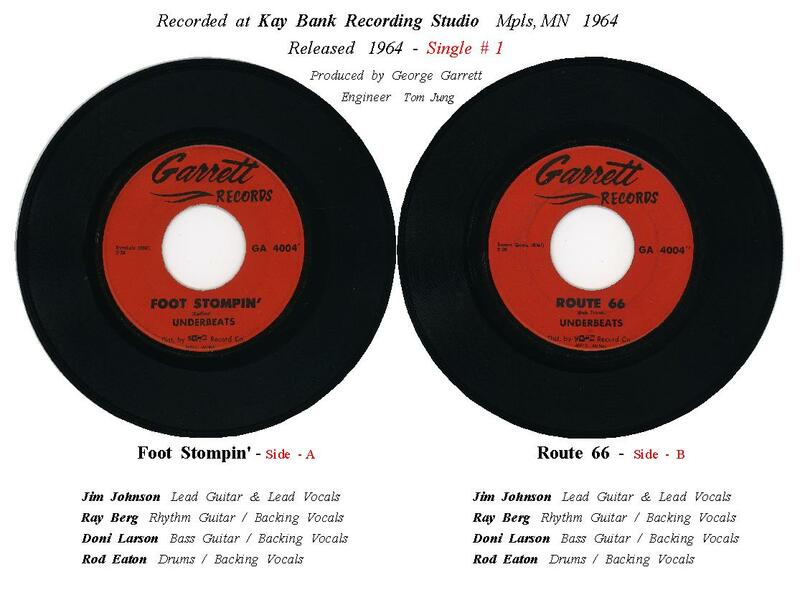 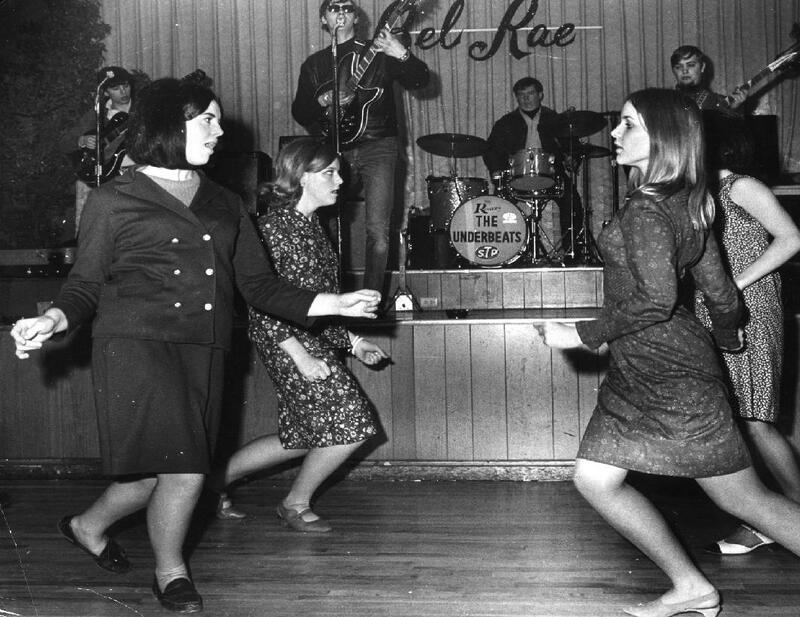 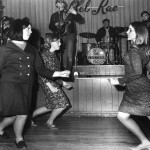 “Foot Stompin” was originally recorded by a Los Angeles R and B group called The Flares. 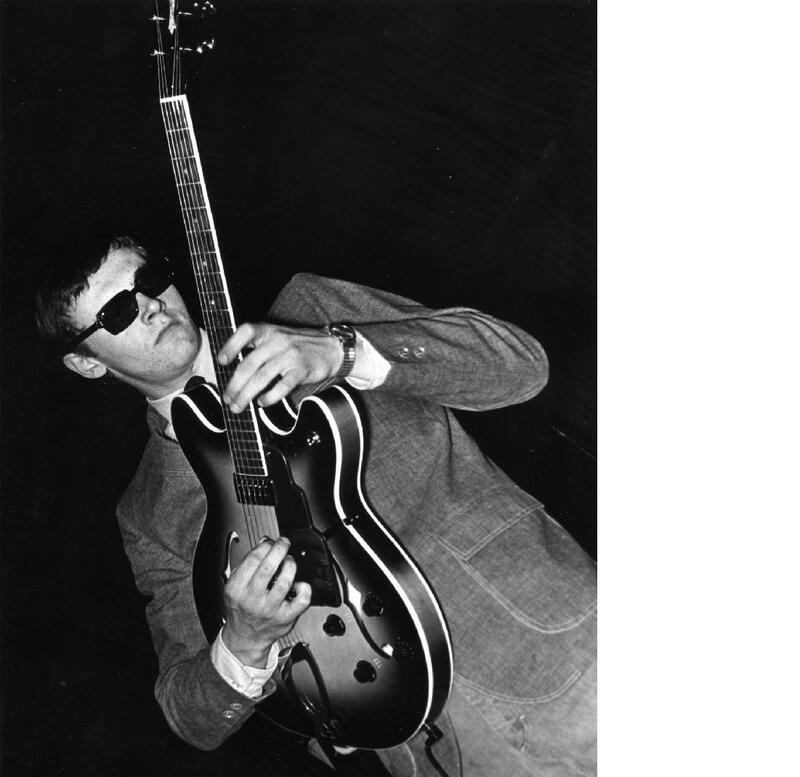 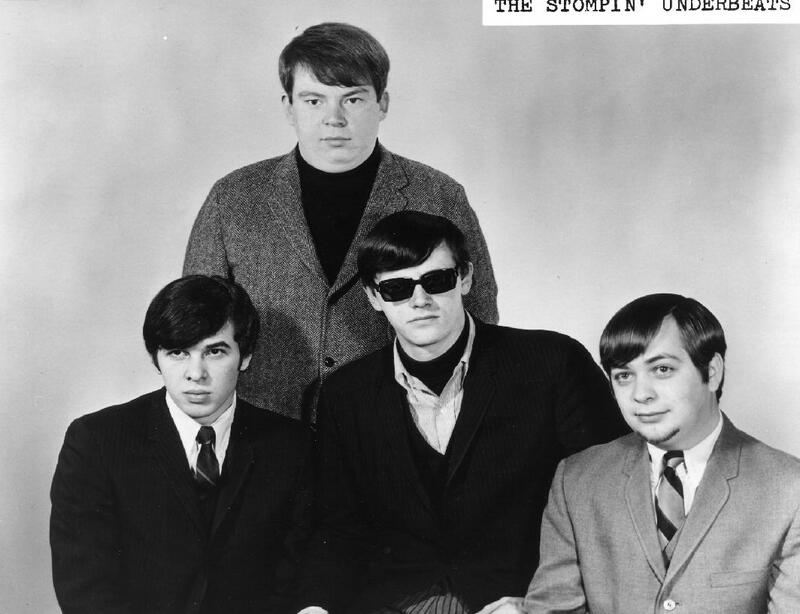 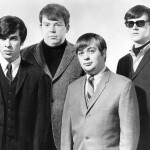 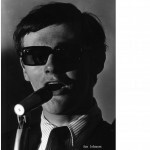 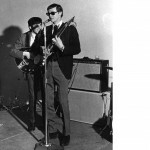 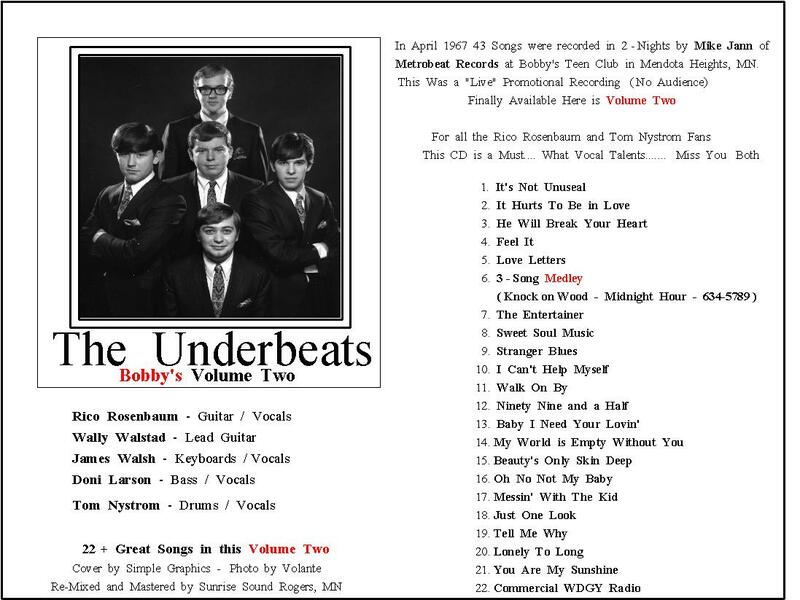 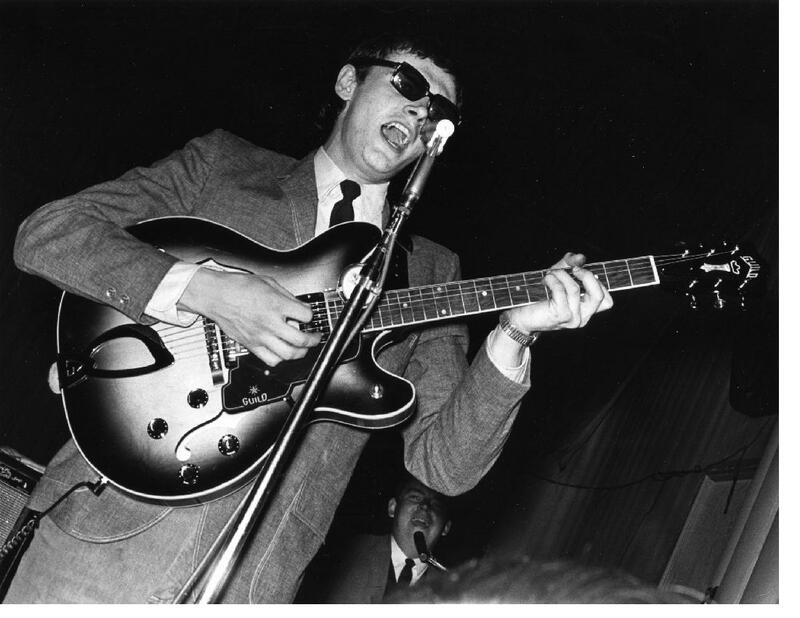 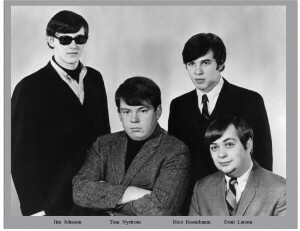 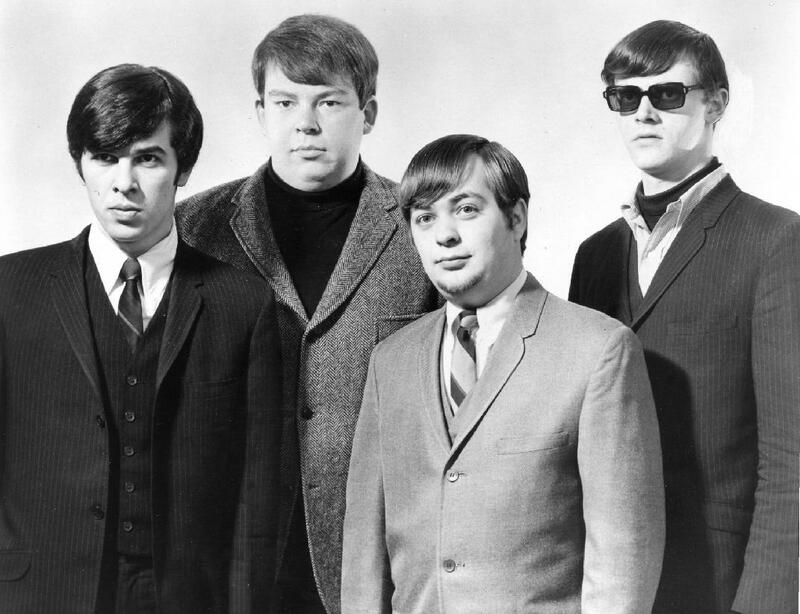 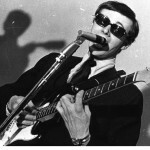 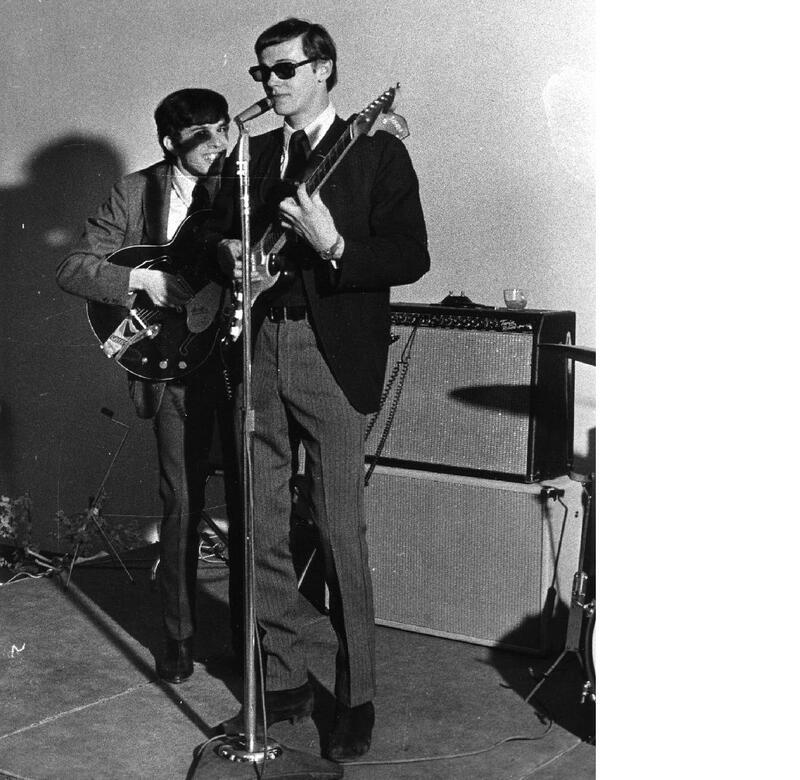 1965: Tommy Nystrom, from The Accents, replaces Rod Eaton on drums and also does vocals. 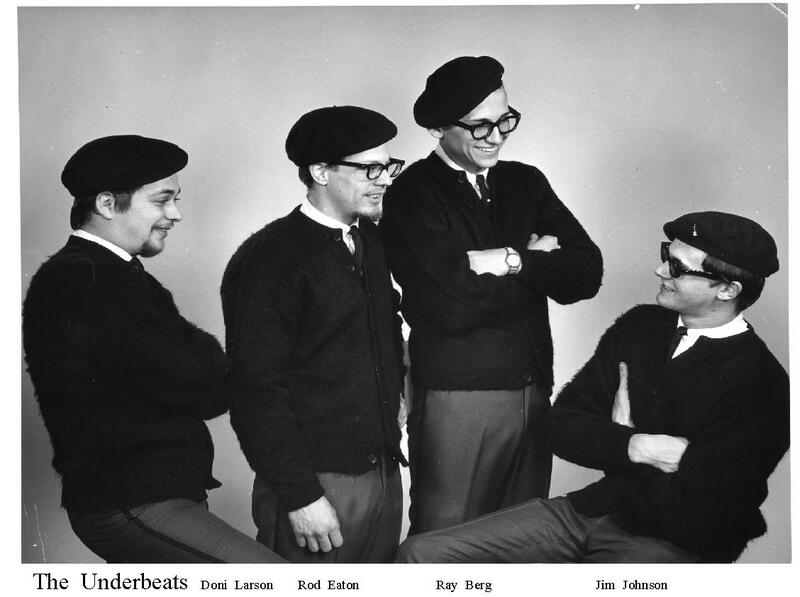 1966: Ray Berg leaves the band to get married and is replaced by Enrico Rosenbaum, from The Escapades, recruited by Jim Johnson. 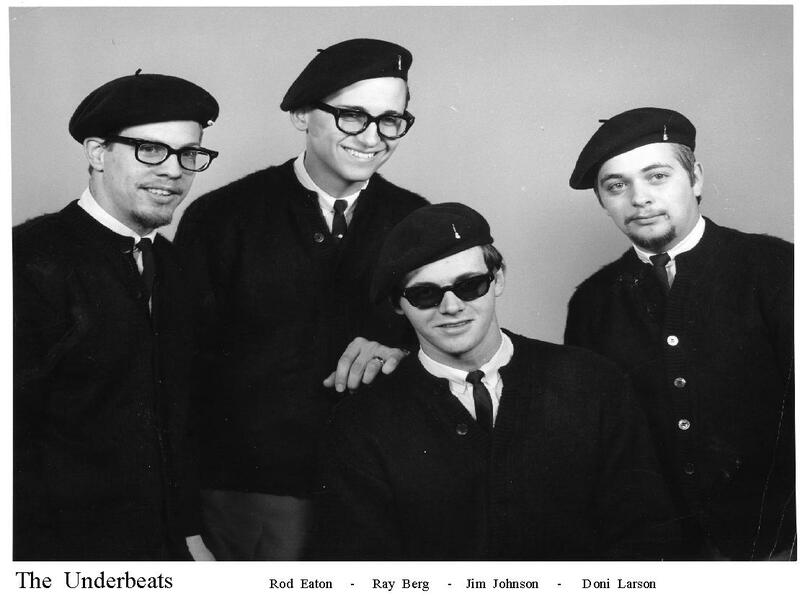 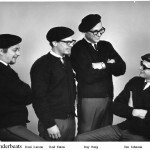 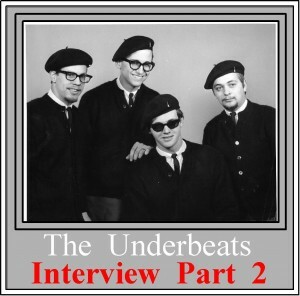 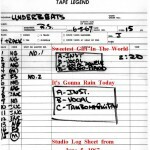 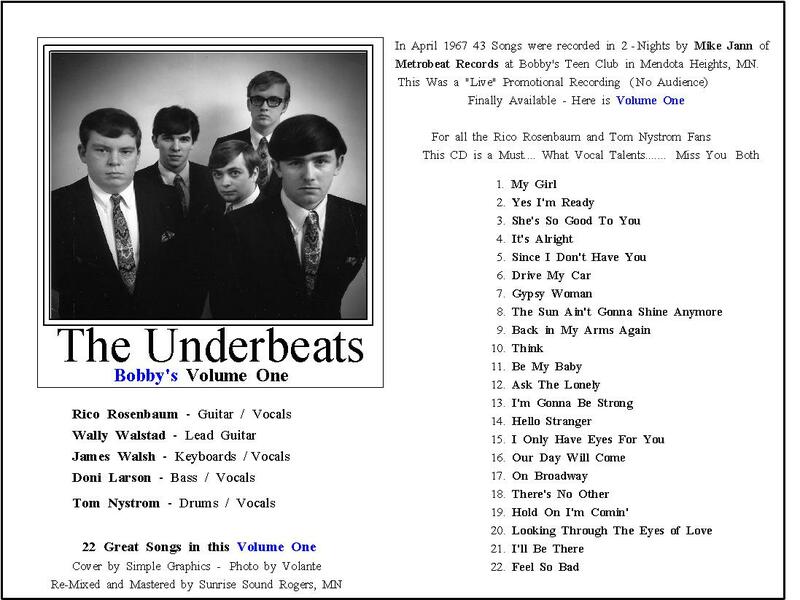 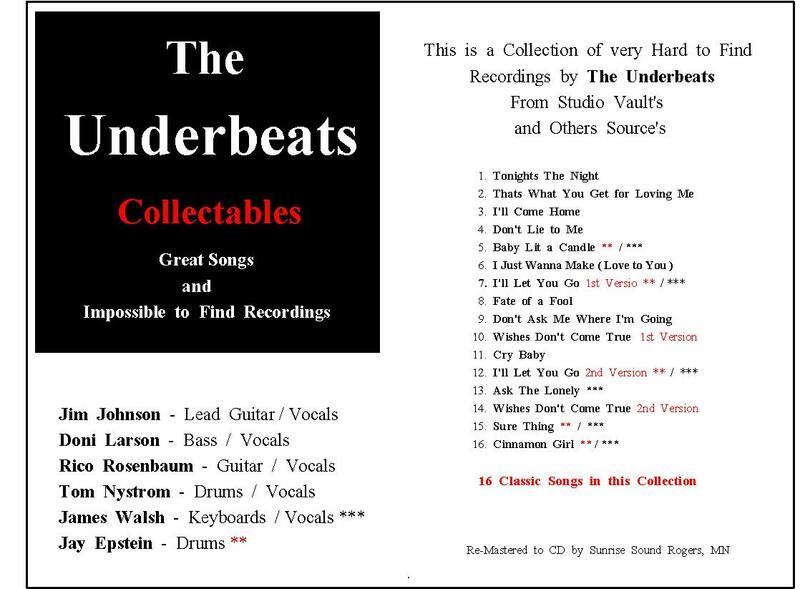 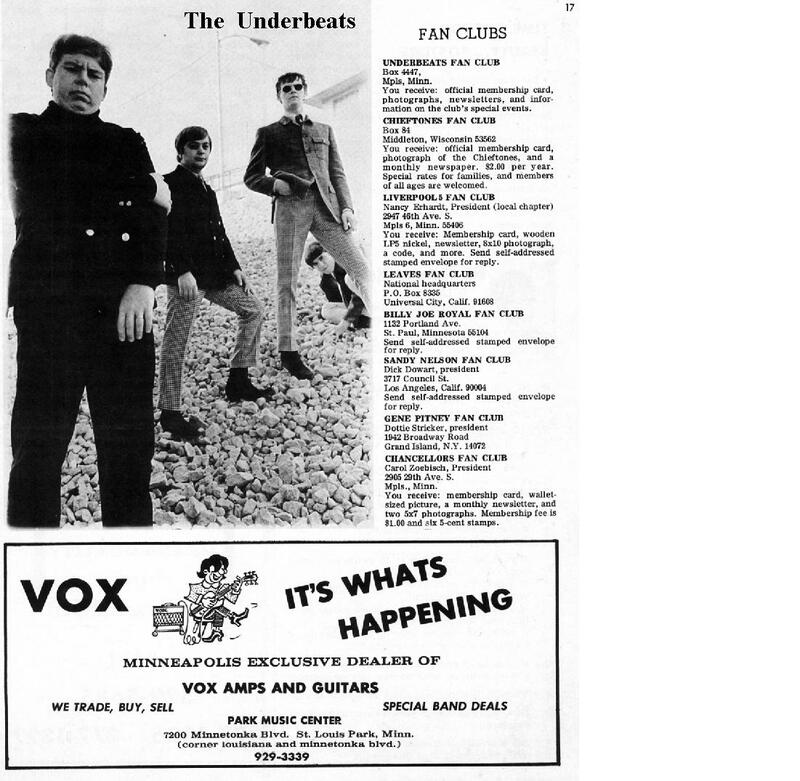 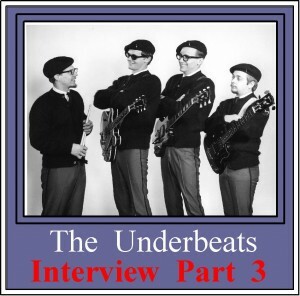 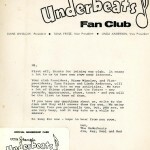 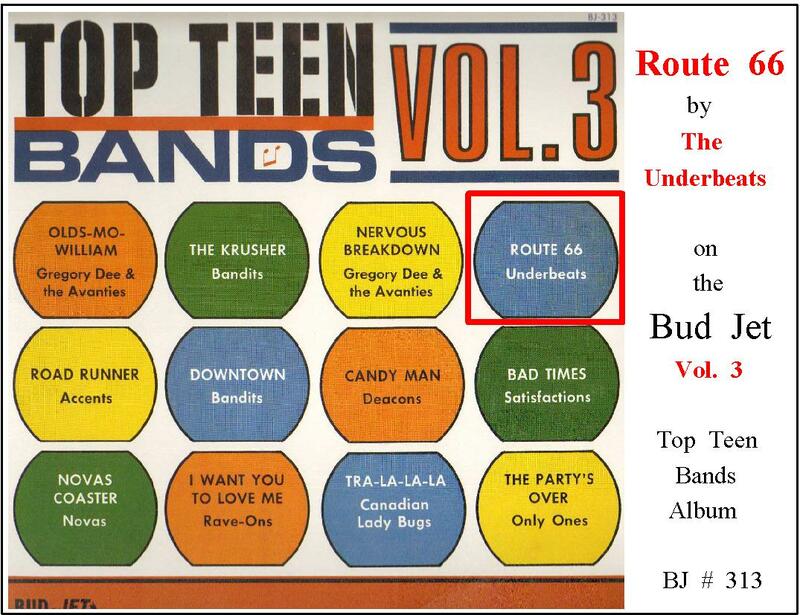 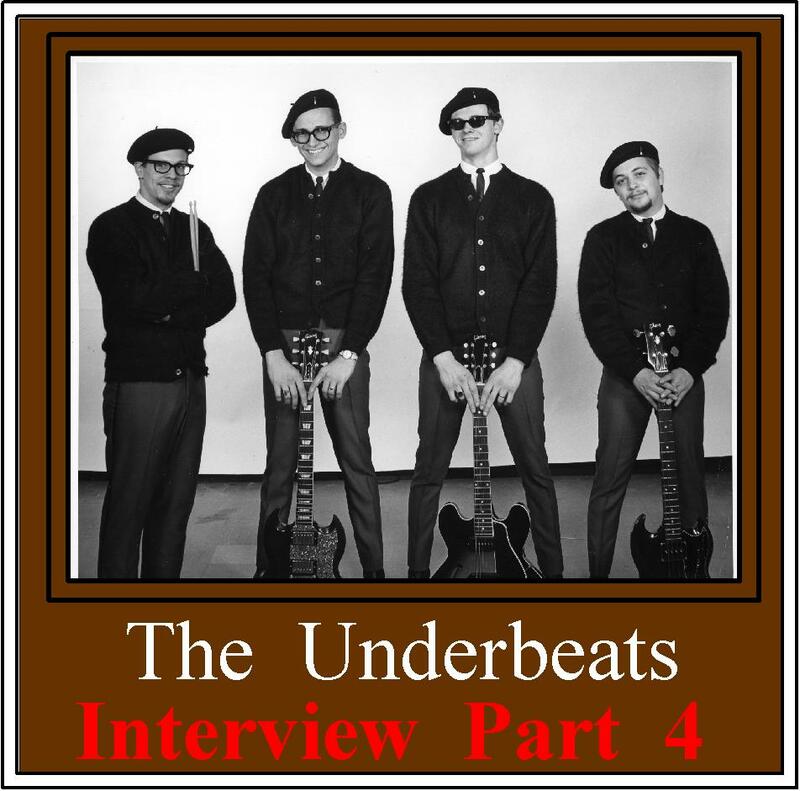 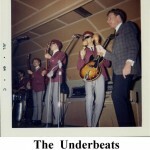 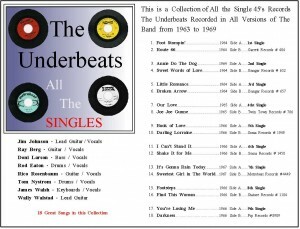 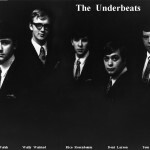 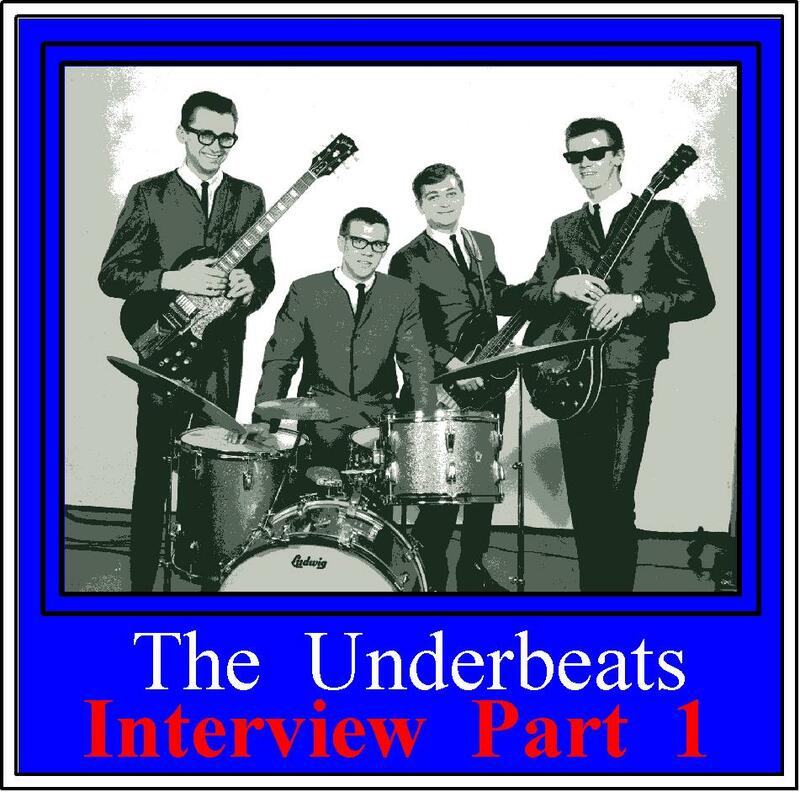 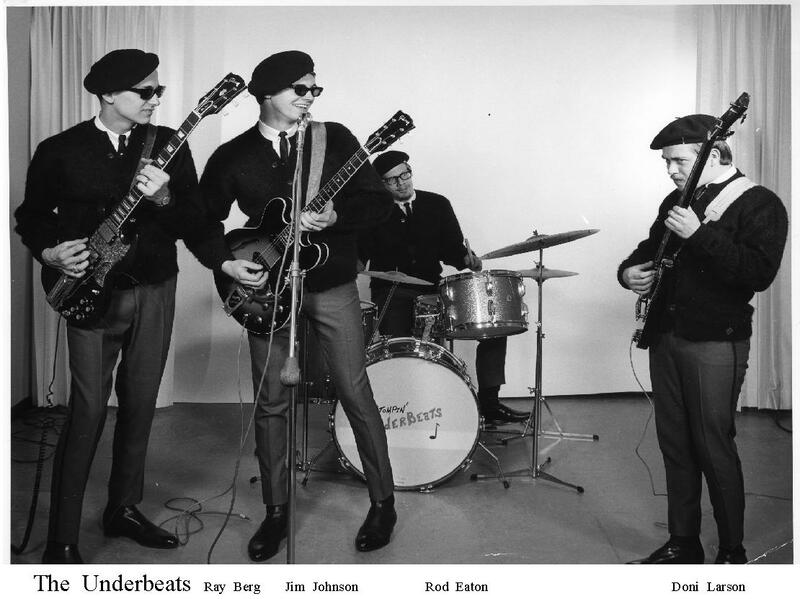 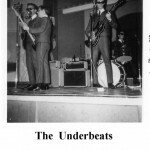 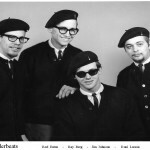 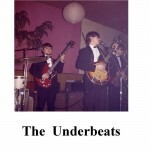 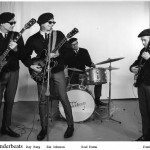 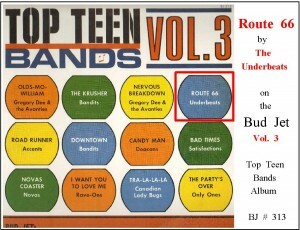 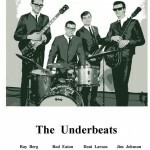 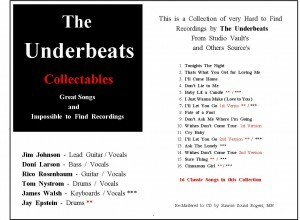 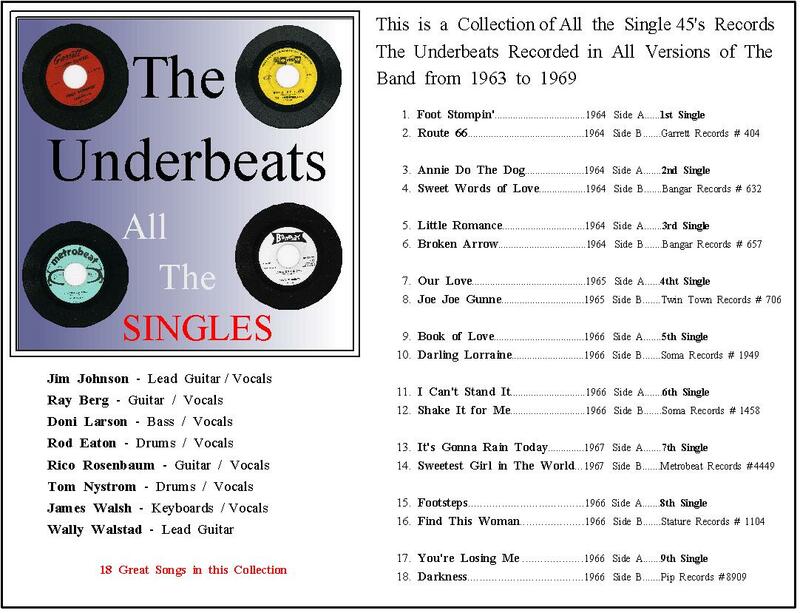 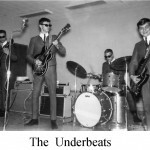 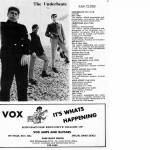 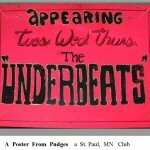 The Underbeats become one of the top local dance bands and have numerous songs on the local radio stations. 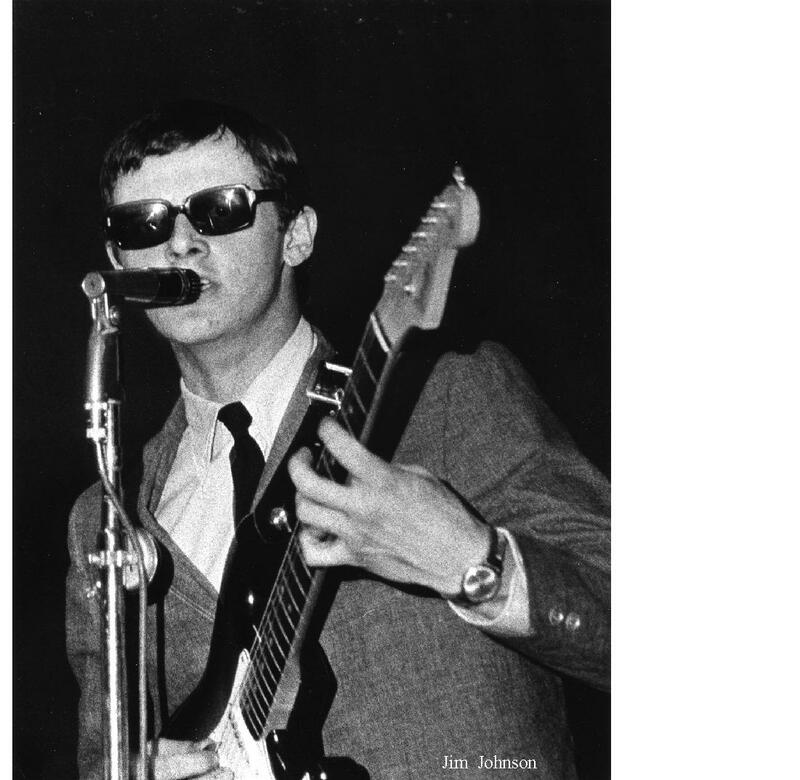 1966: Jim Johnson is drafted and serves in Vietnam. 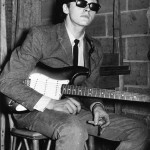 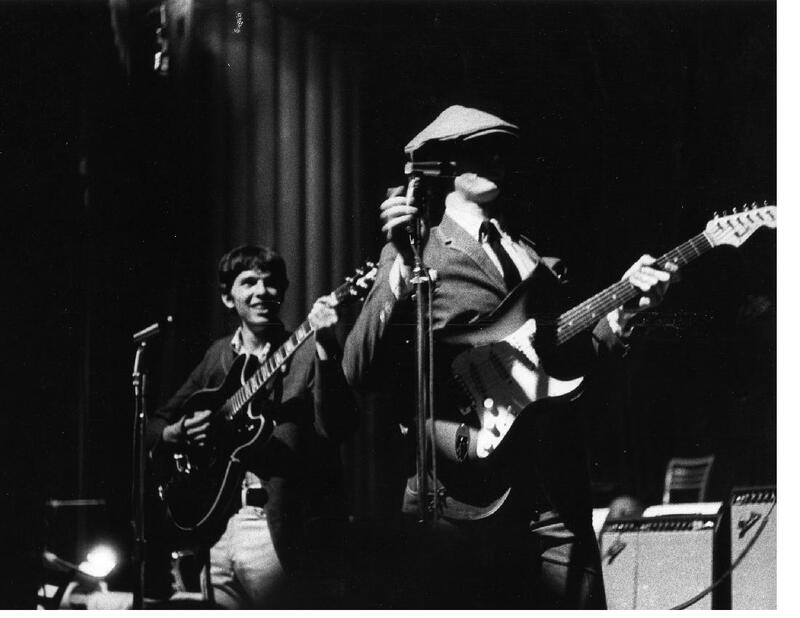 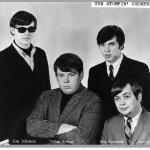 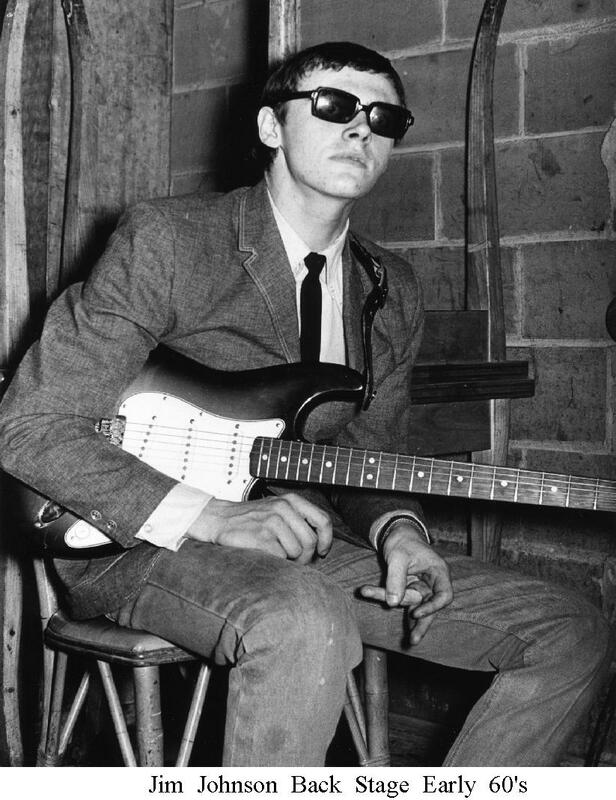 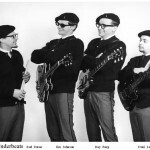 Prior to leaving for the army, Johnson hires Wally Walstead (from Wilmar) to play guitar and James Walsh (from The Hot Half Dozen) for vocals. 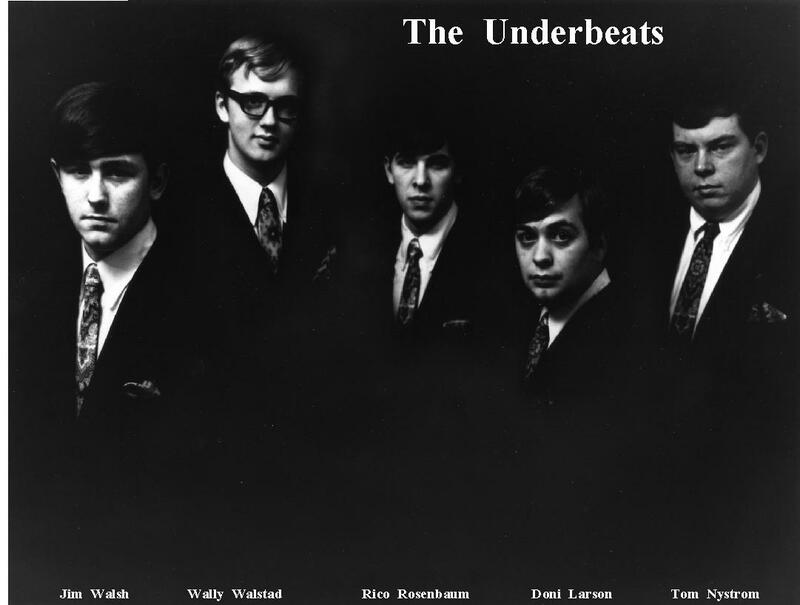 Walsh also plays keyboards. 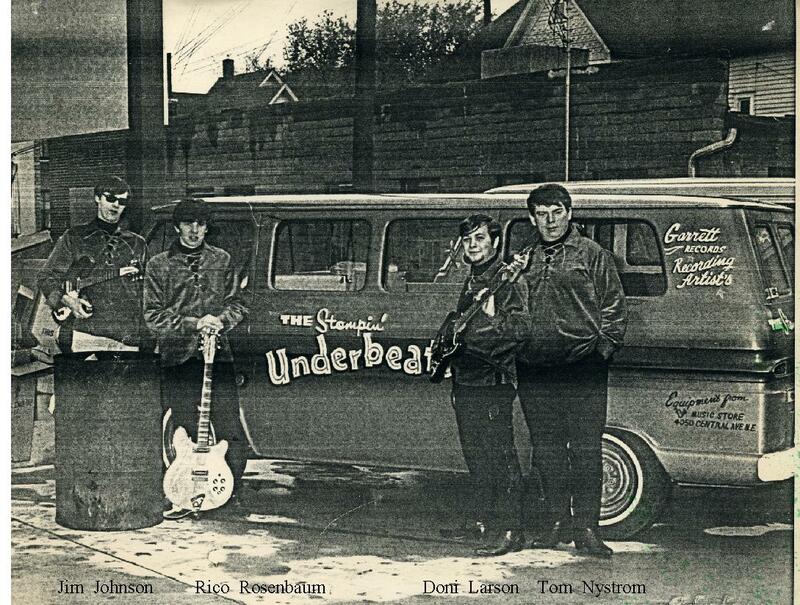 The line-up now is Doni Larson, Enrico Rosenbaum, Tom Nystrom, James Walsh and Wally Walstead. 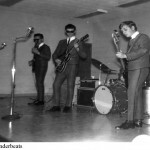 The band continues to gain popularity. 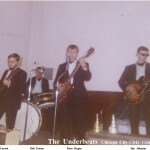 This version of the band is together until Jim Johnson returns from the service in September, 1968. 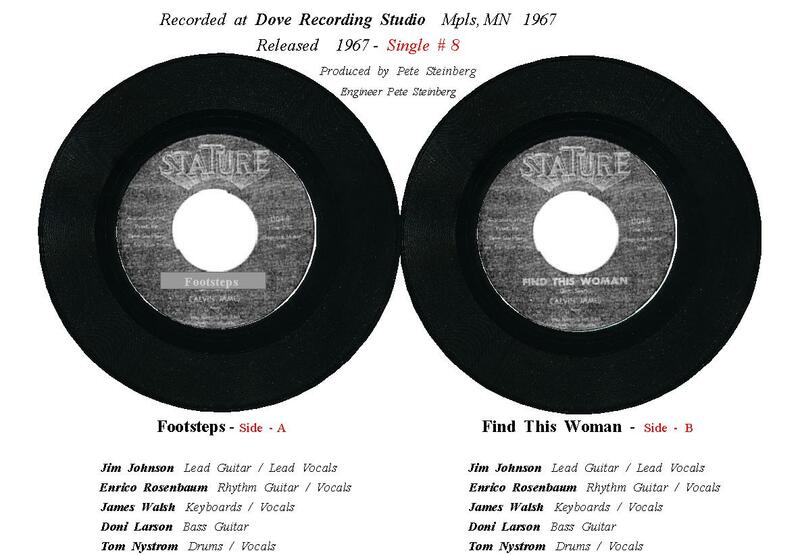 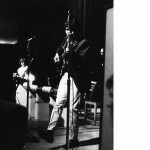 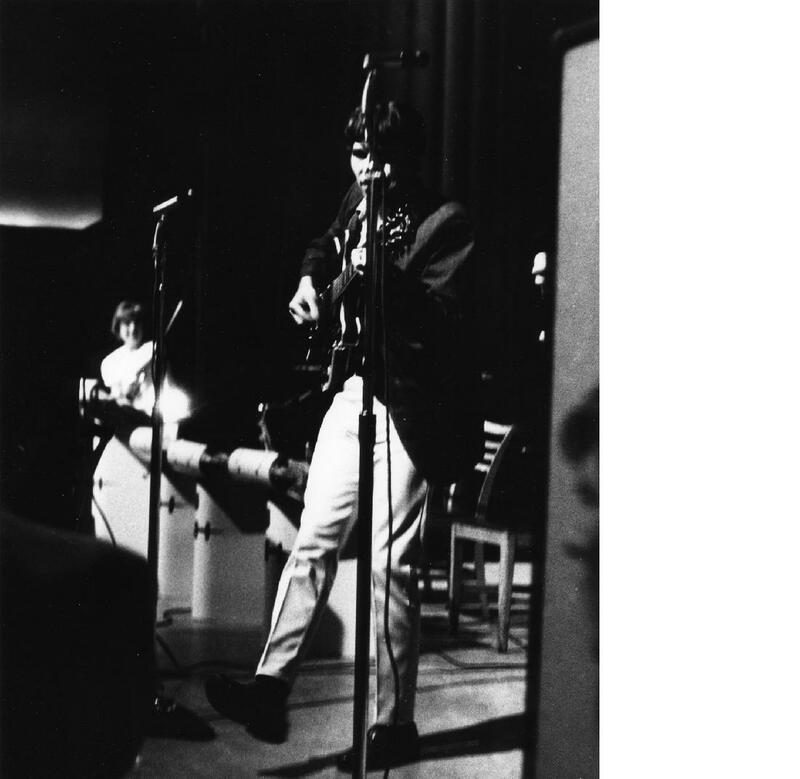 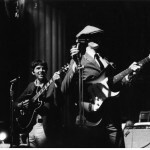 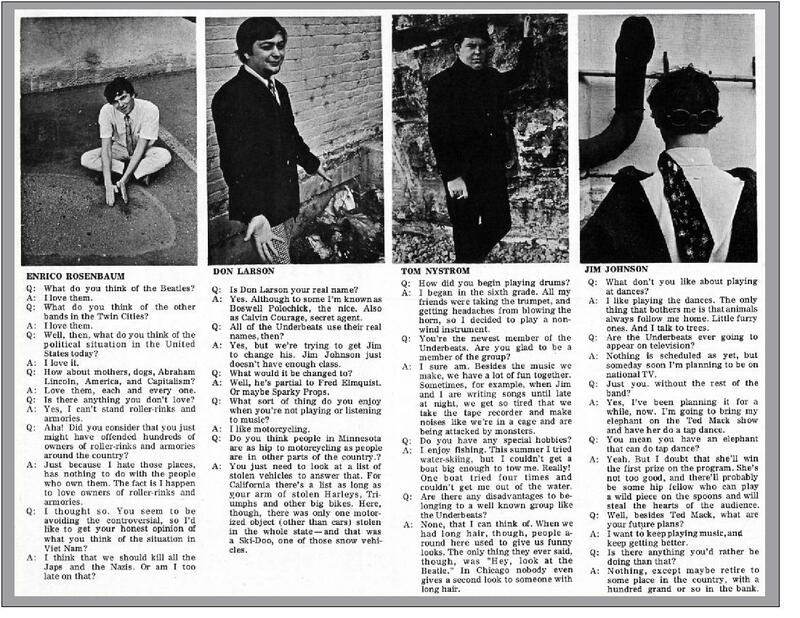 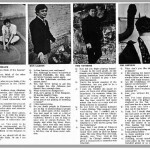 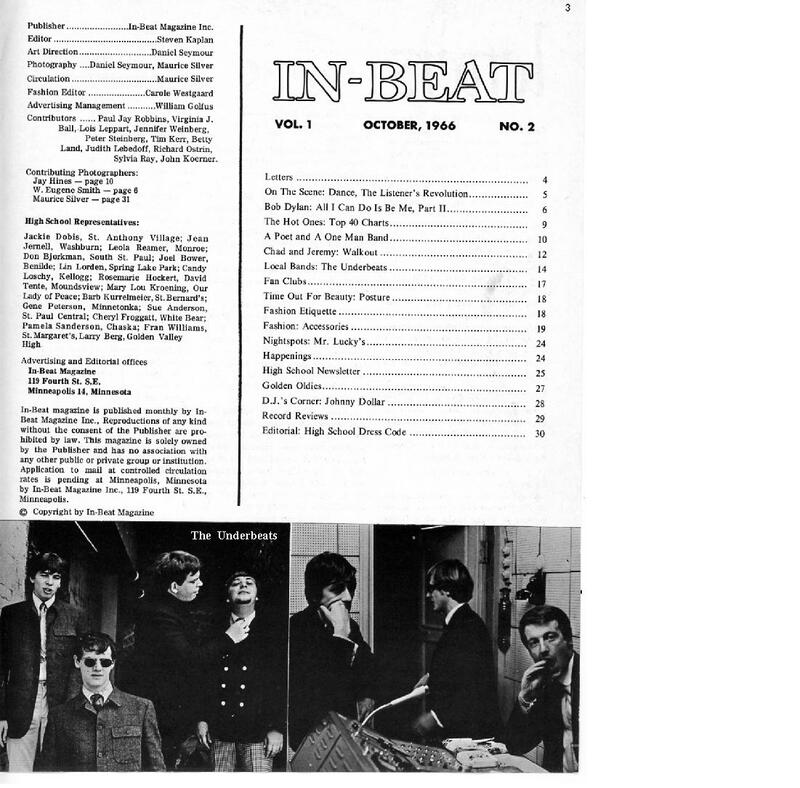 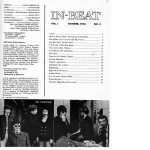 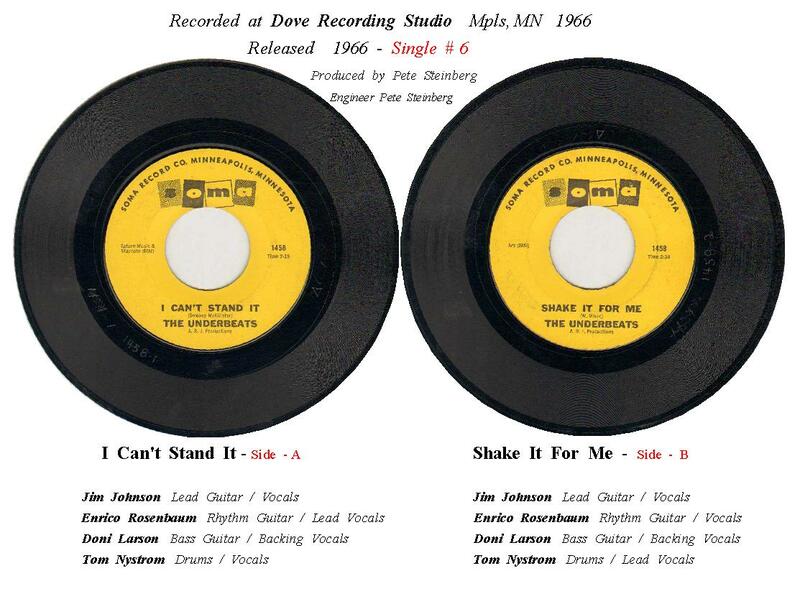 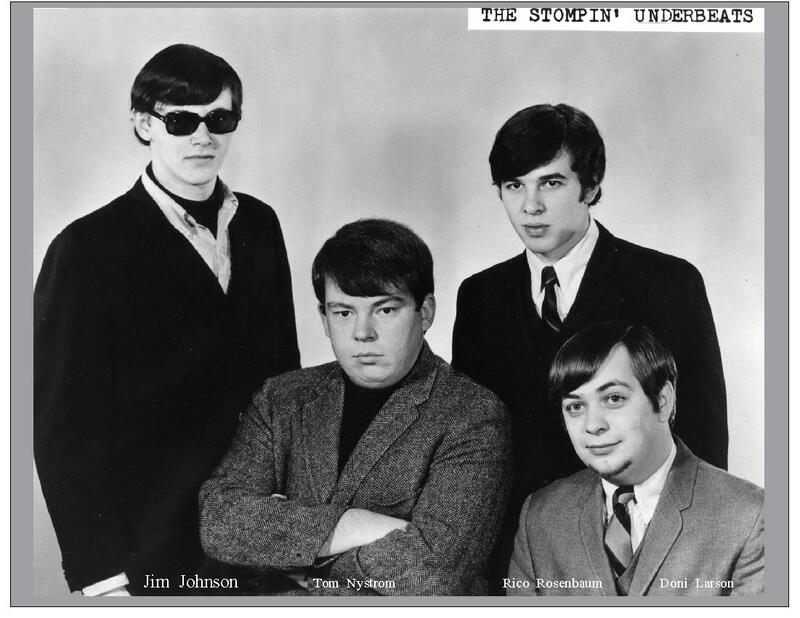 1967: Jim Johnson comes home on leave and the band records another 45: “Footsteps” written by Jim Johnson and “Find This Woman” written by Pete Steinberg. 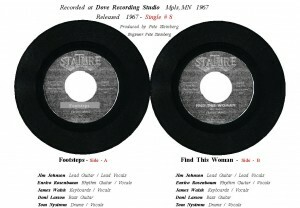 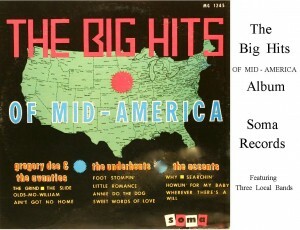 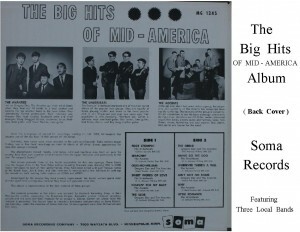 The record is produced by Pete Steinberg and released on the Stature label. 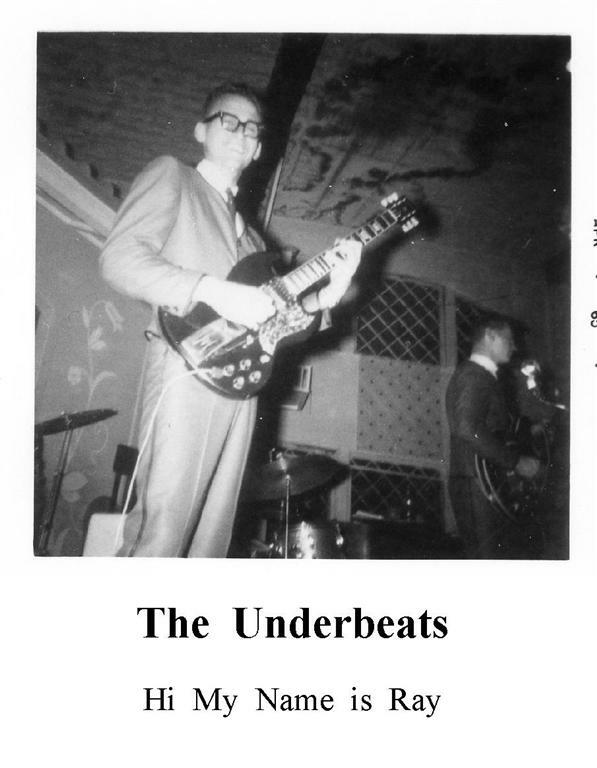 For this recording the band is called Calvin James and The Haymarket Riot. 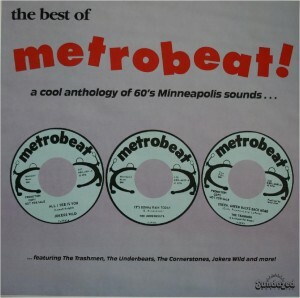 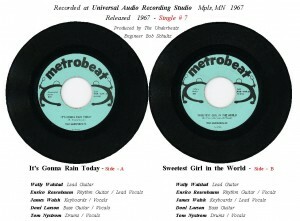 The group records a 45 for the local Metrobeat label: “It’s Gonna Rain Today”, written by Enrico Rosenbaum, with James Walsh on lead vocals. 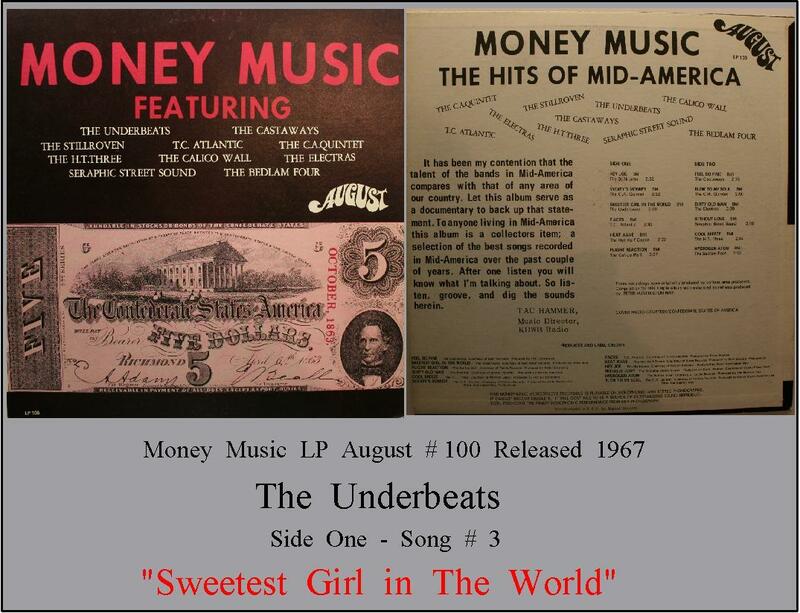 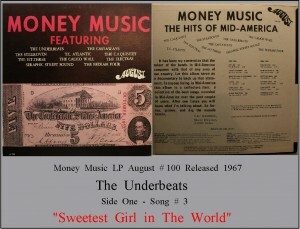 The B side is a cover version of “The Sweetest Girl in the World.” Jim Johnson is not on this 45. 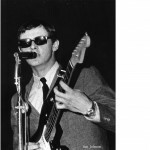 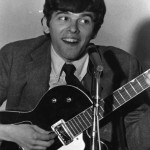 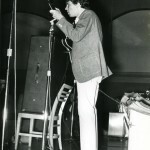 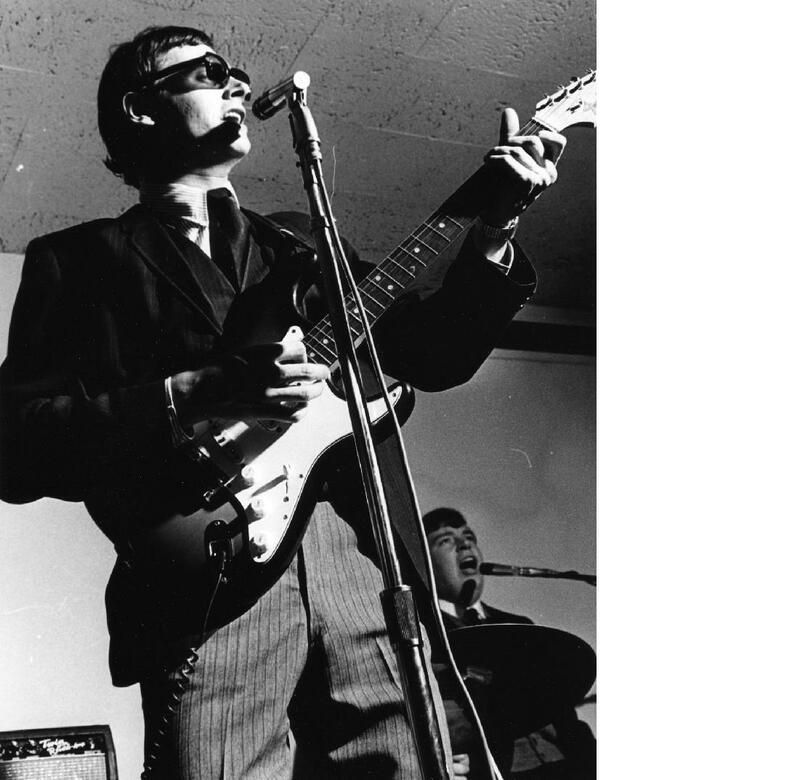 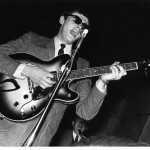 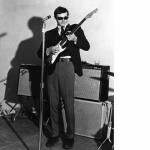 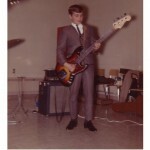 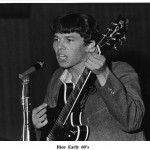 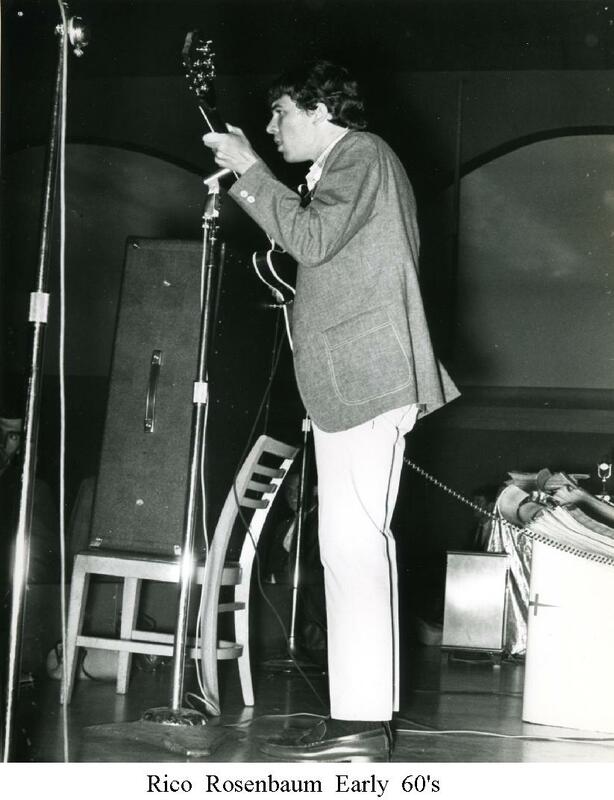 1968: Jim Johnson rejoins the band and Wally Walstead leaves. 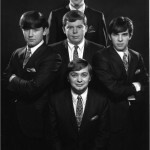 Now the band has four of the top lead singers in town and become known for their vocal harmonies. 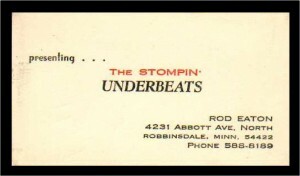 The band is considered by many to be the top local dance band in the twin cities area. 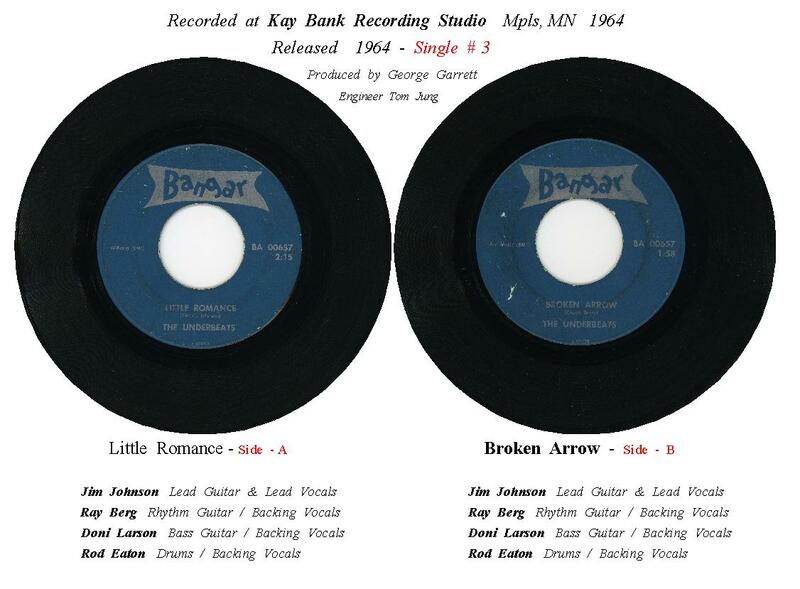 The band’s final 45 is released: Darkness and You’re Losing Me, both songs written by Jim Johnson and Enrico Rosenbaum. 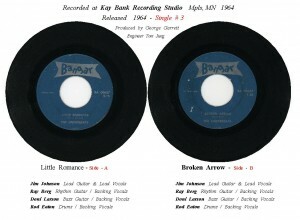 This 45 is on the local Pip label, run by Ira Heilicher. 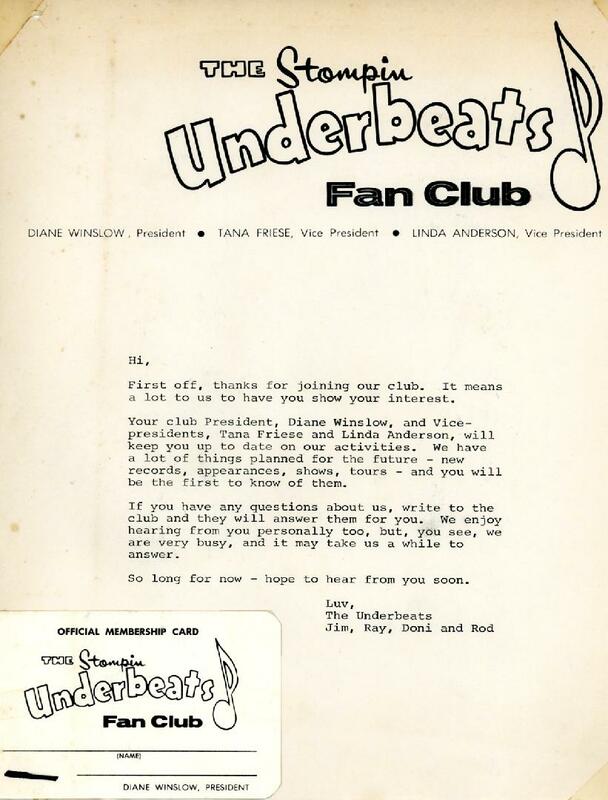 November, 1968: The band decides to relocate to Los Angeles, California. 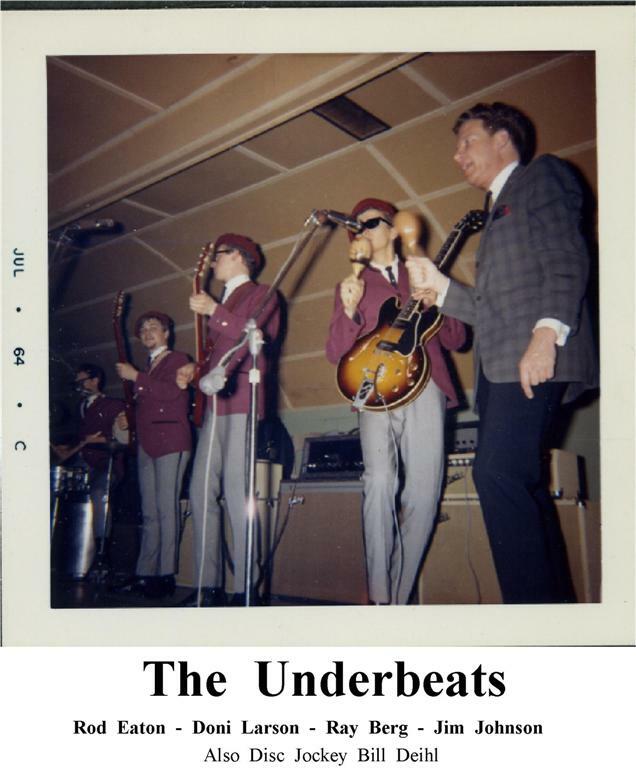 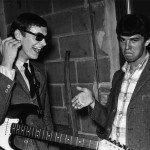 With Steve Freeman (a friend of Enricos from high school) as manager, the band gets a steady job at Gezzarris, a popular dance club on the Sunset Strip in Hollywood. 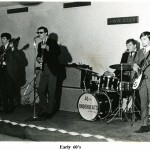 The band is given an official new name by the club owners and local fans, The Groovy People. 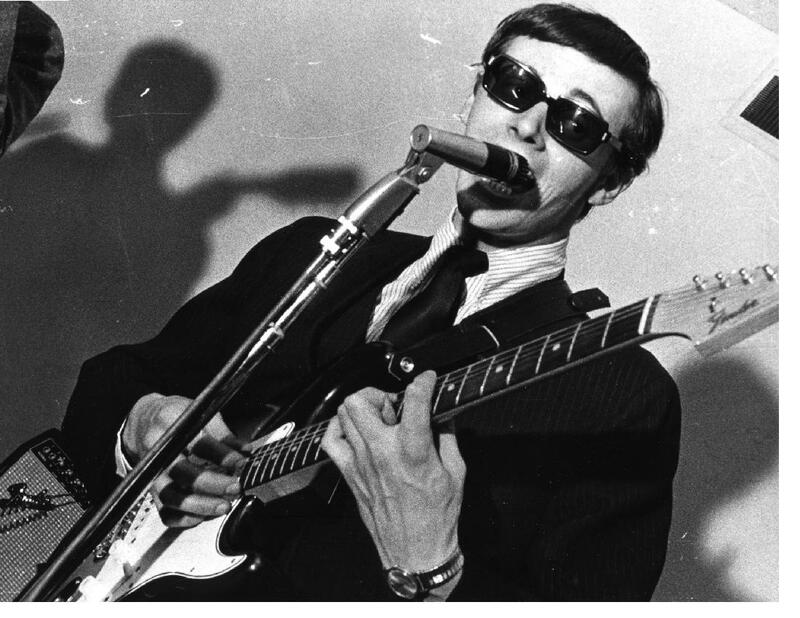 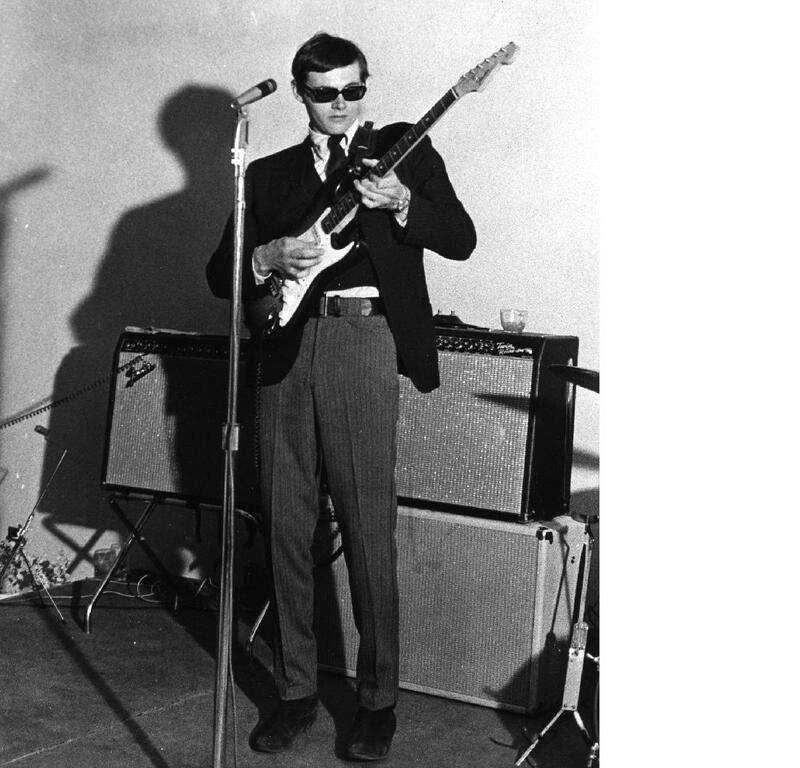 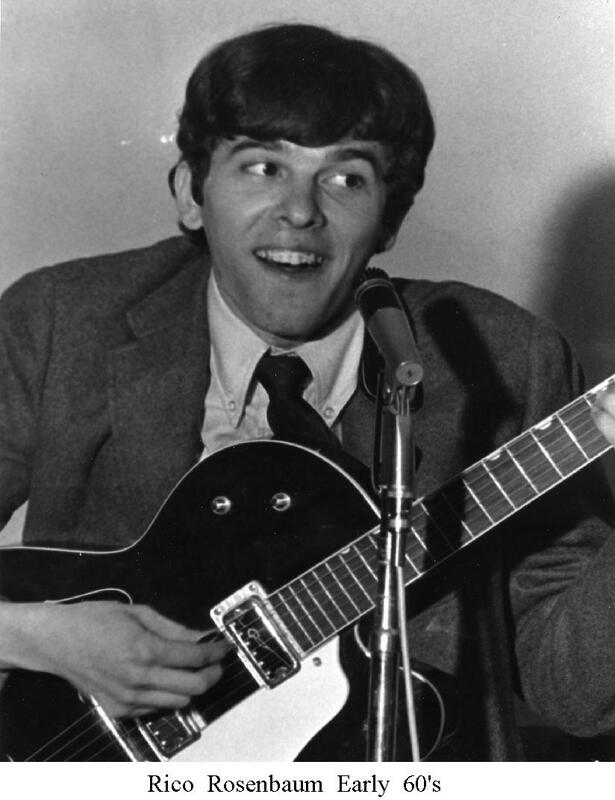 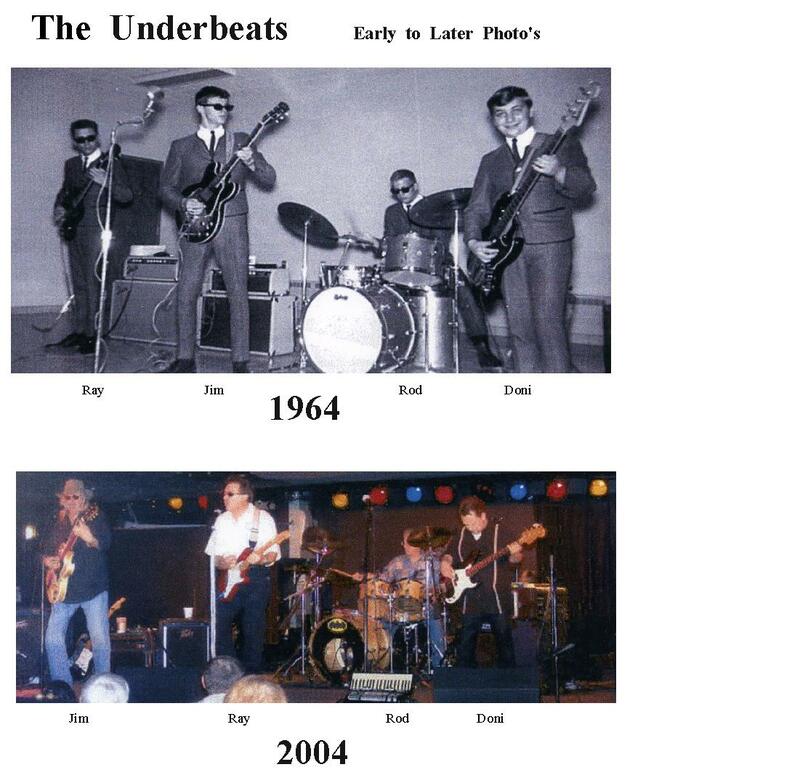 1969: Tommy Nystrom leaves the band to return to Minnesota and is replaced by Jay Epstein, a drummer from Winona. 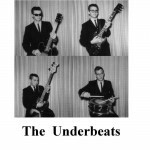 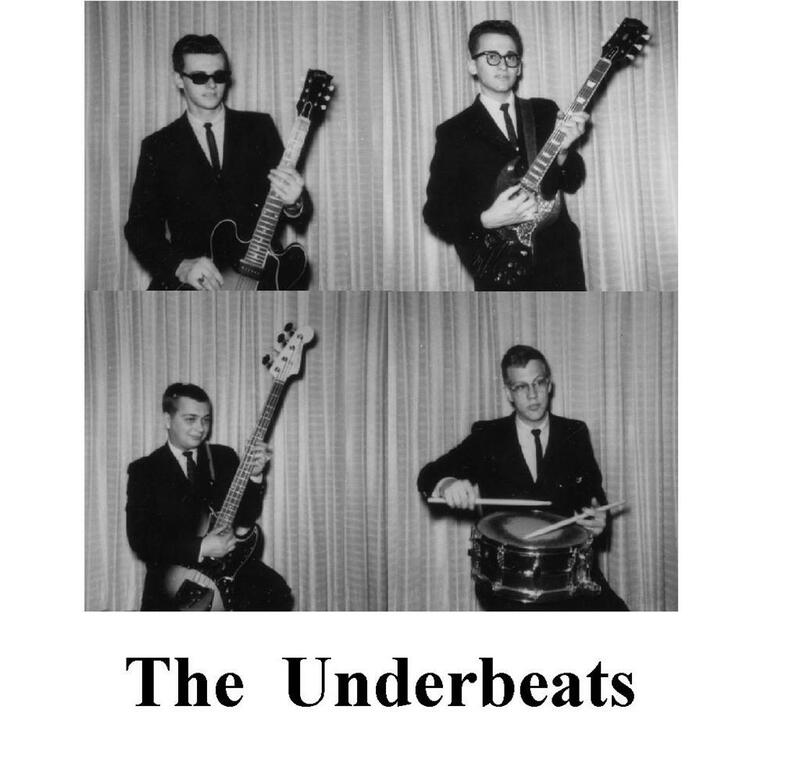 The Underbeats change their name and become Gyspy. 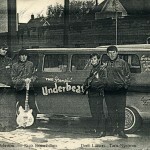 Doni Larson is credited with the name change, based on the bands lifestyle (“look at us, we are living like gypsies”). 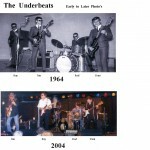 After much success over the bands eight years, The Underbeats era comes to an end and the Gypsy era begins. 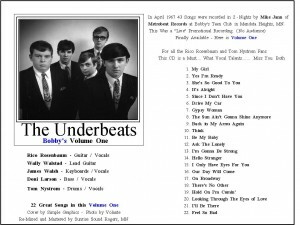 A number of unreleased songs by the band, including live performances surface over the years. 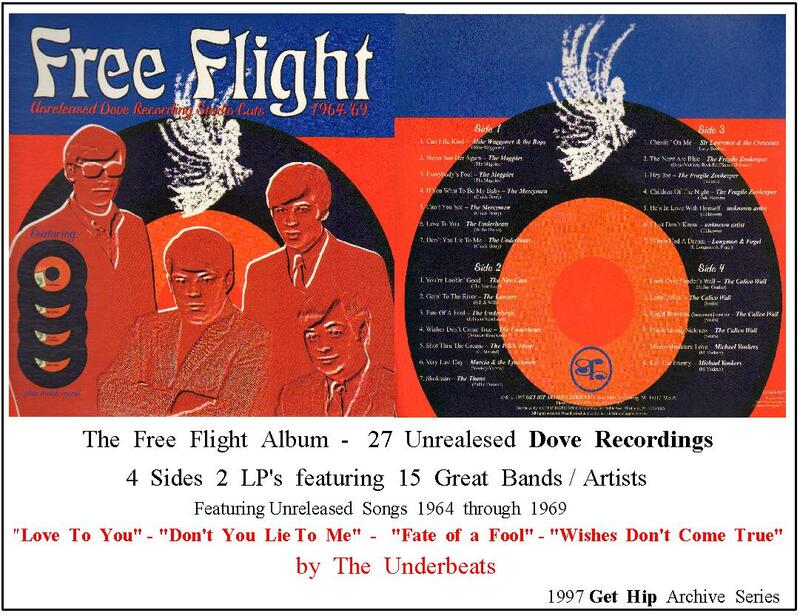 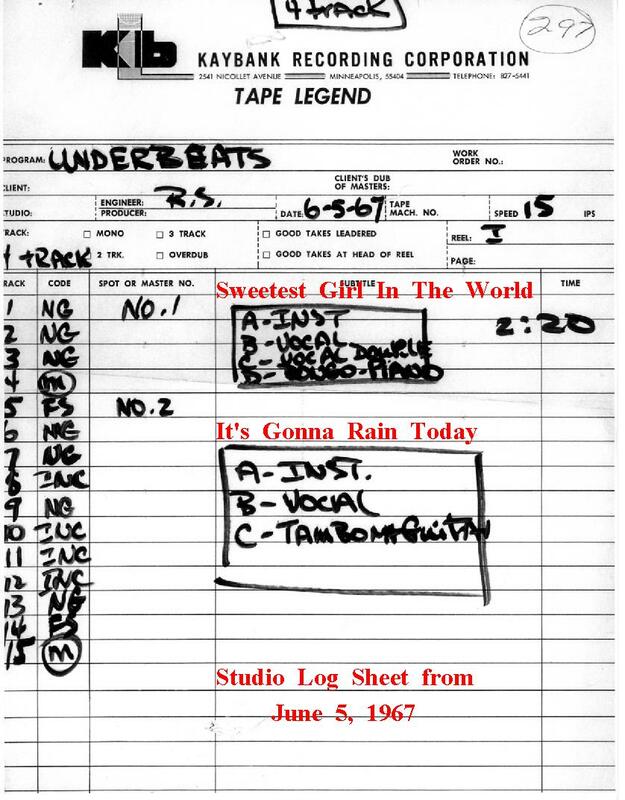 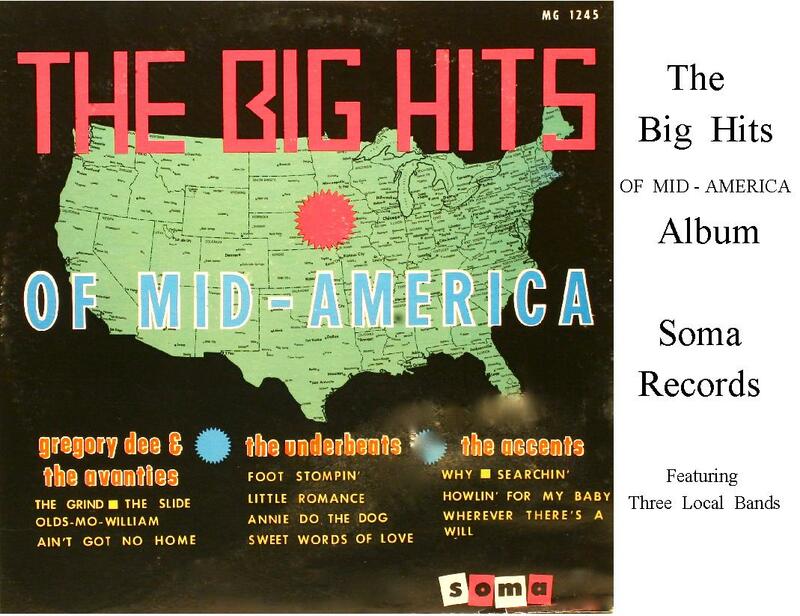 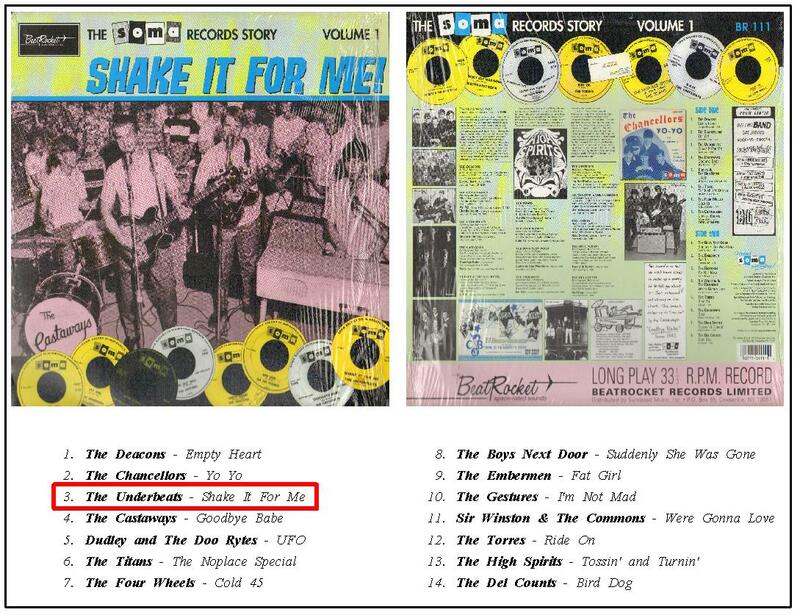 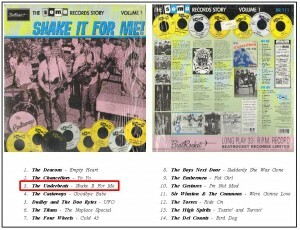 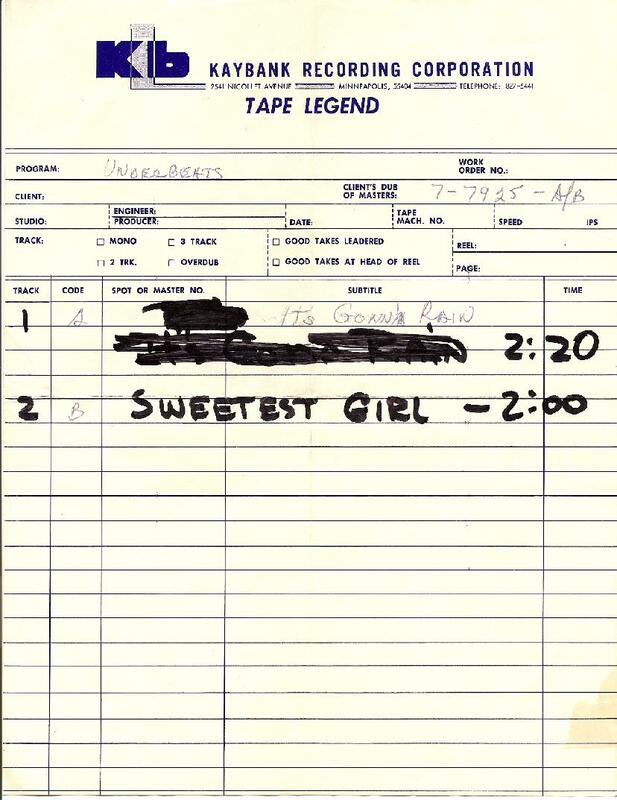 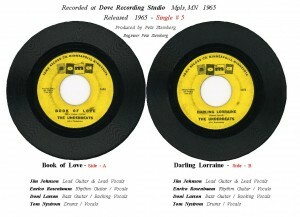 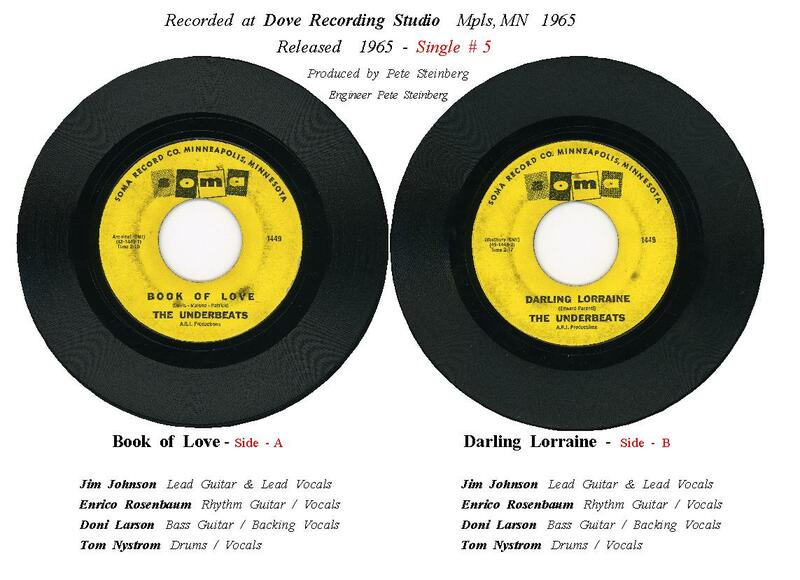 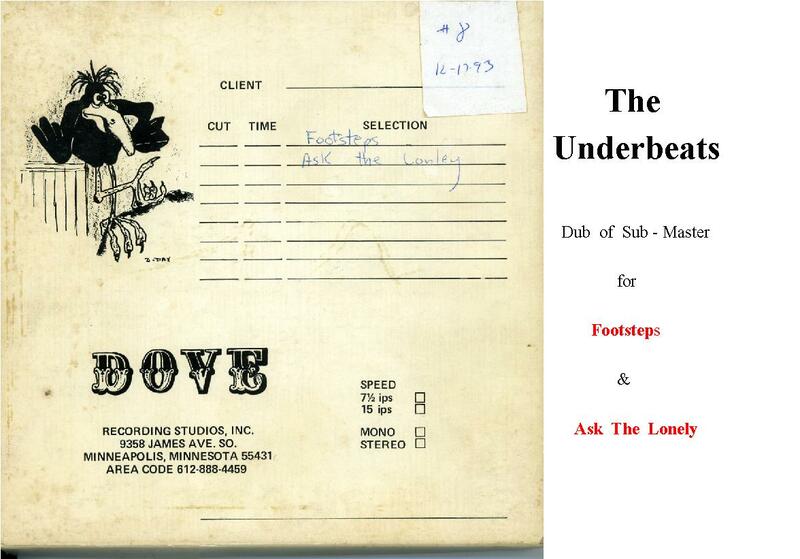 Four songs were released as part of a compilation album that features local bands that recorded at Dove Recording Studio: “Love to You”; “Don’t You Lie to Me”; “Wishes Don’t Come True” and “Fate of a Fool”. 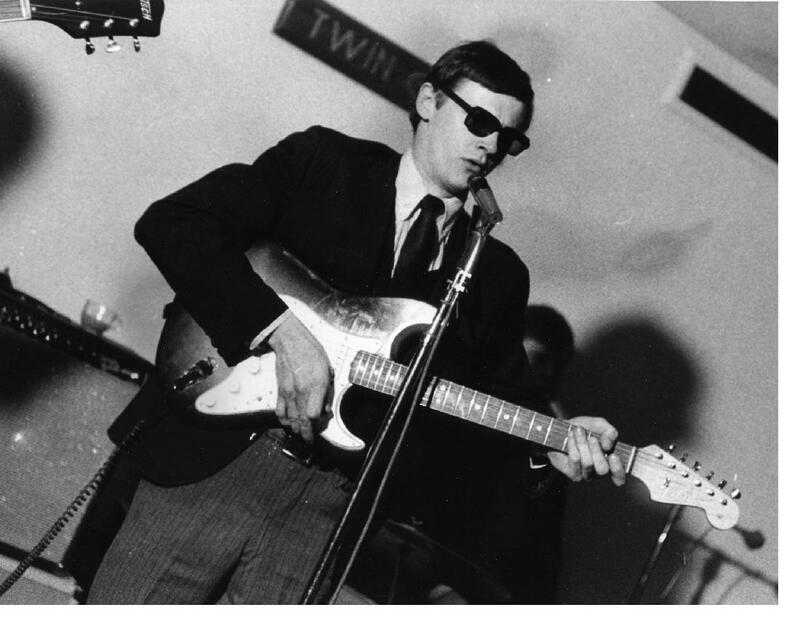 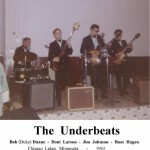 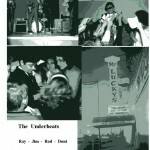 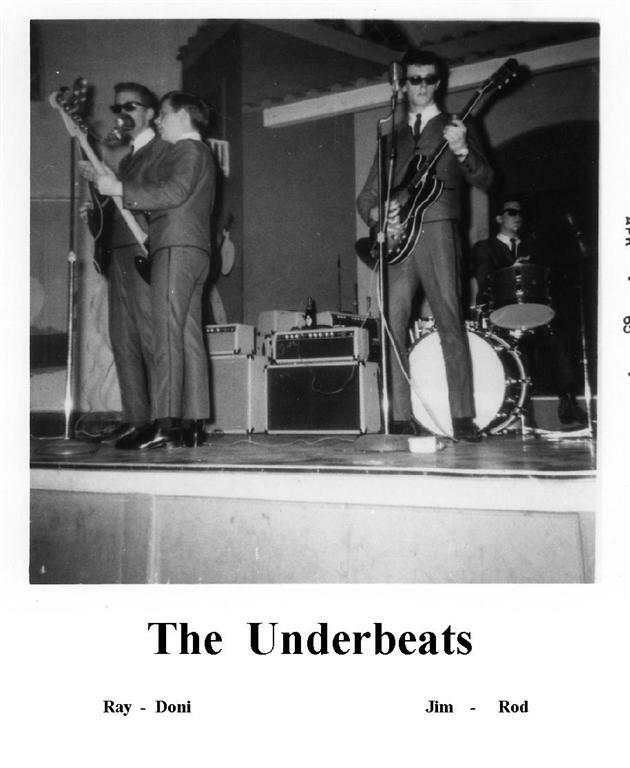 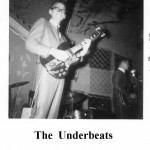 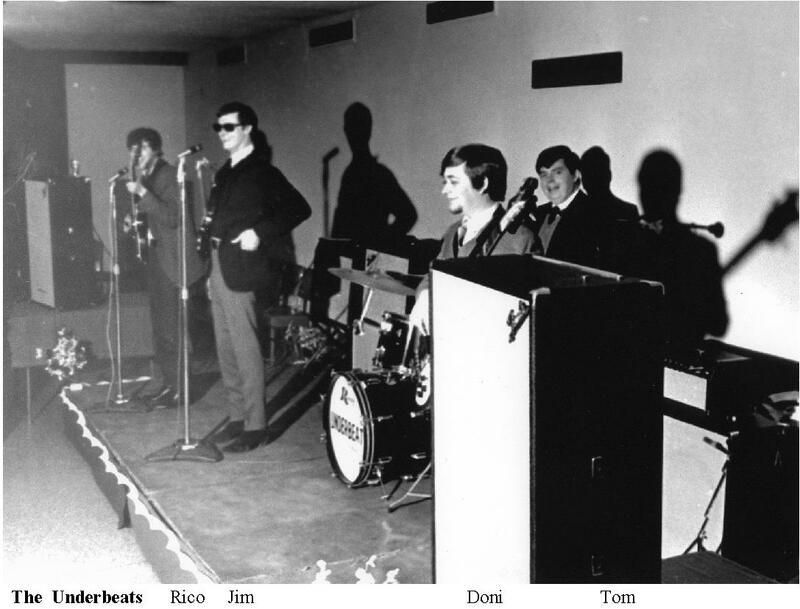 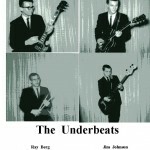 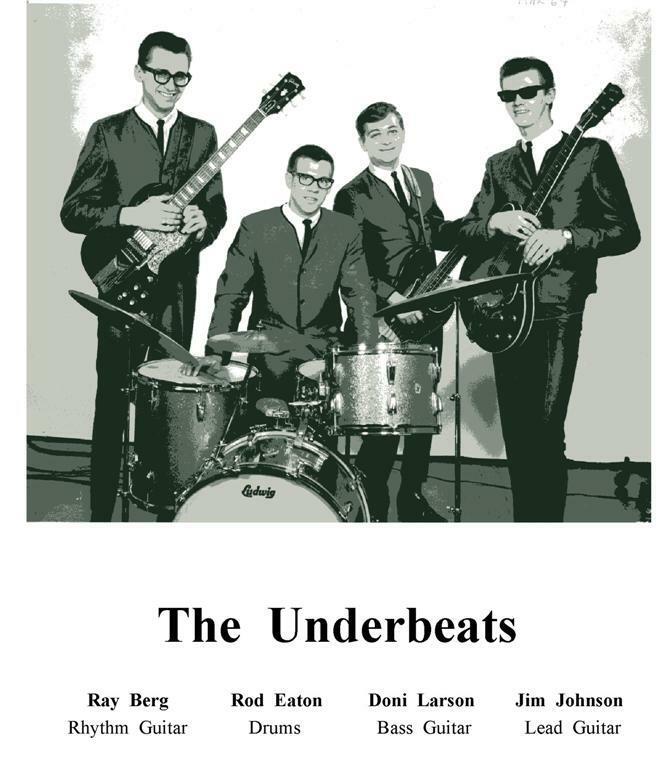 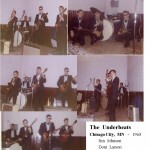 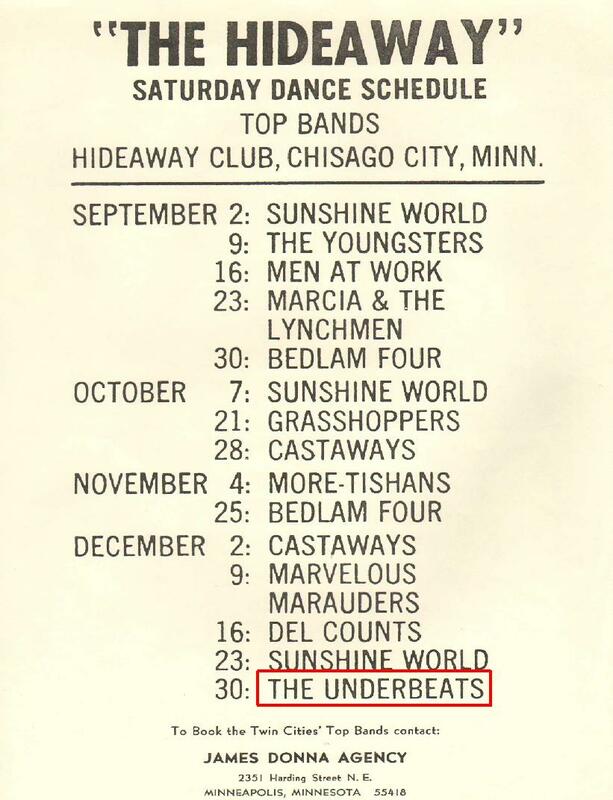 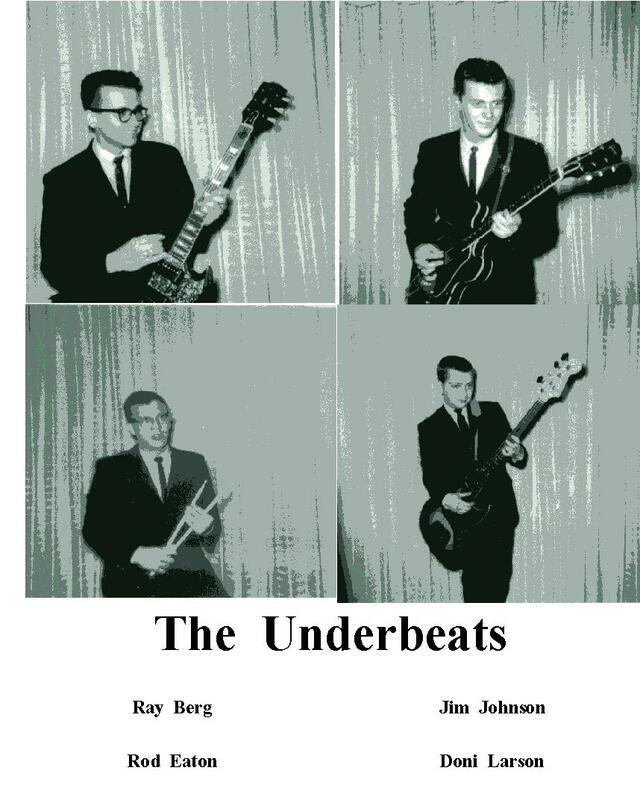 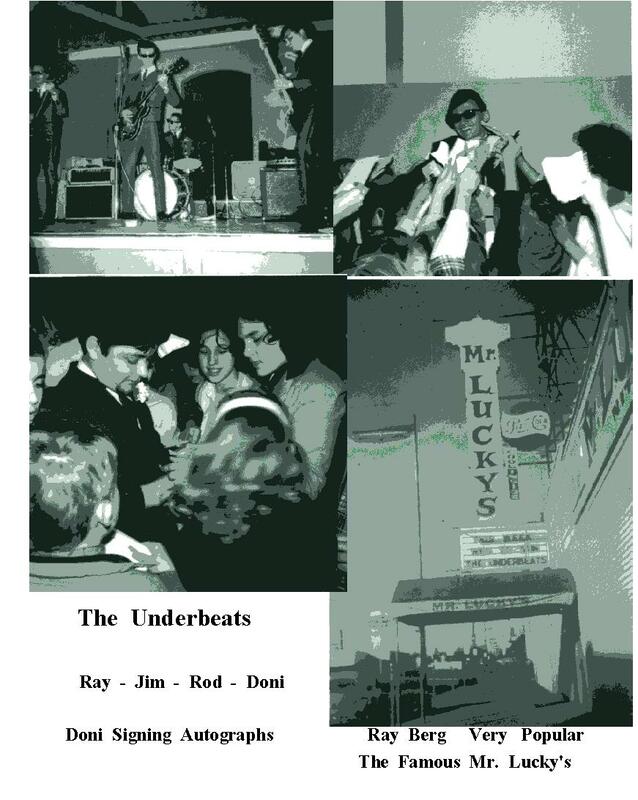 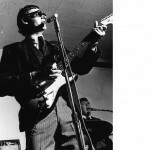 In 2004 The Underbeats were inducted into the Rock Country Hall of Fame at the Medina Ballroom. 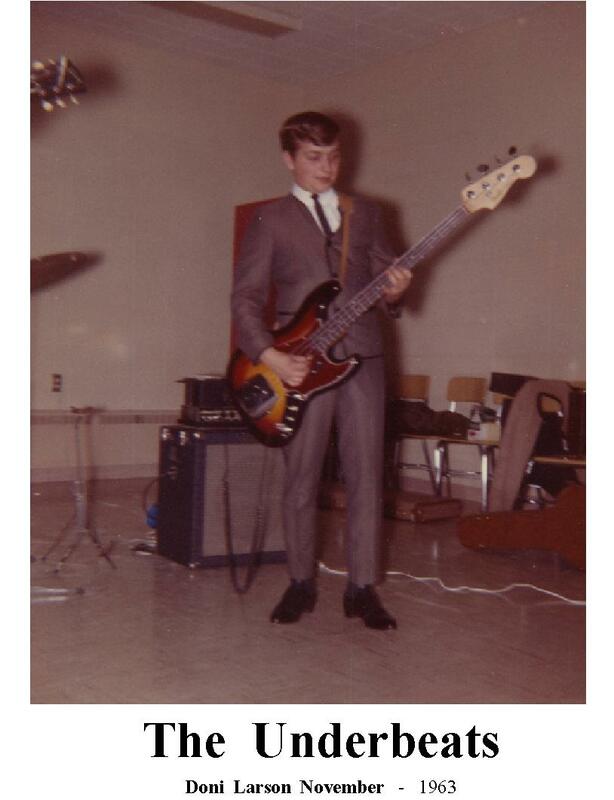 No longer active in music, Russ lives in Florida. 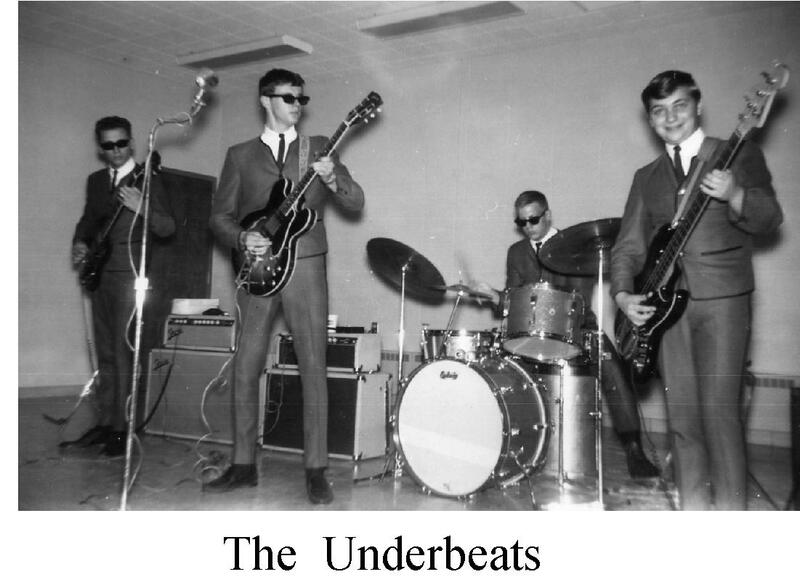 No longer active in music, otherwise unknown. 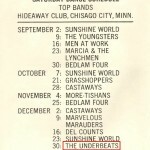 No longer active in music, Ray lives in Minnesota. 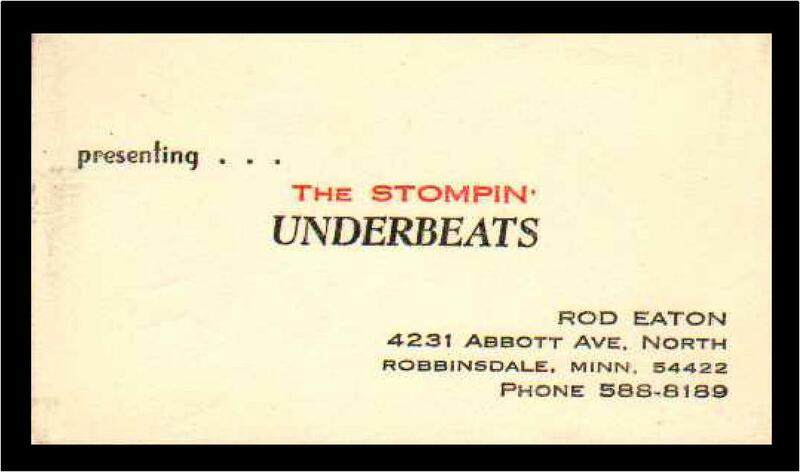 No longer active in music, Rod lives in Minnesota. 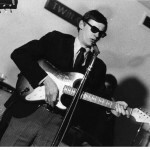 Tom passed away in 2004. 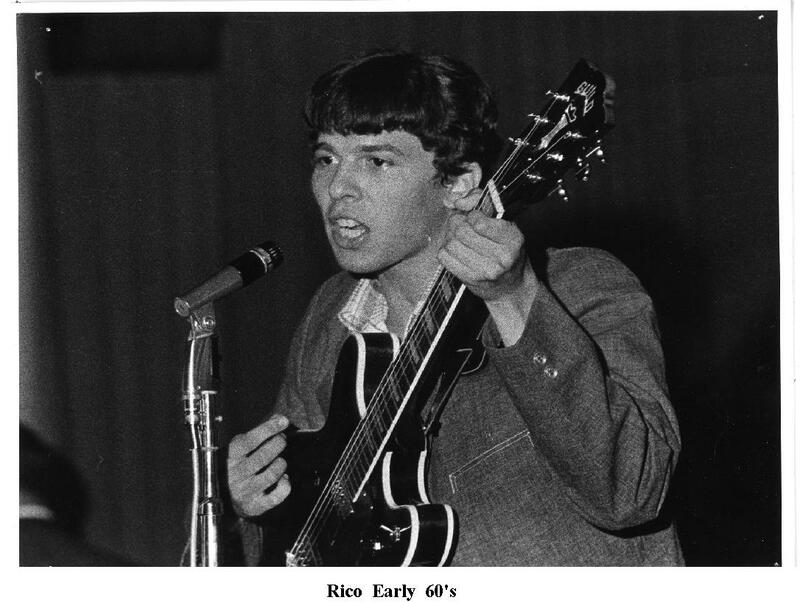 Rico passed away in 1979.